When it comes to storied rivalries, there’s nothing like the Red Sox vs. Yankees, Army vs. Navy or Arizona vs. Arizona State. 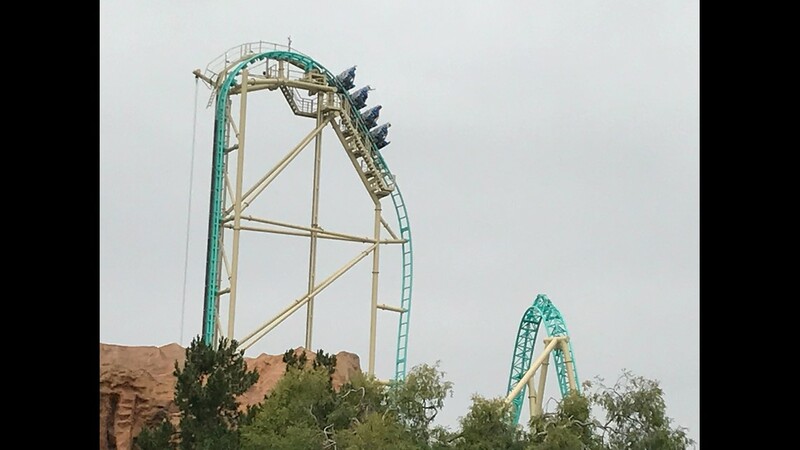 Then there’s Disneyland vs. Knott’s Berry Farm, which on its face seems akin to Tiger Woods taking on that guy over there hitting a bucket of balls. 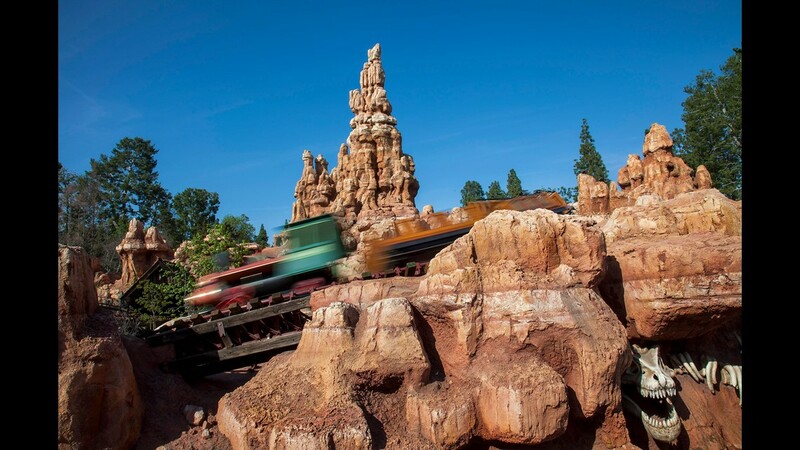 If visions of gunslingers and outdated attractions are going through your mind, it might be time to ditch Disney for a day at the farm. 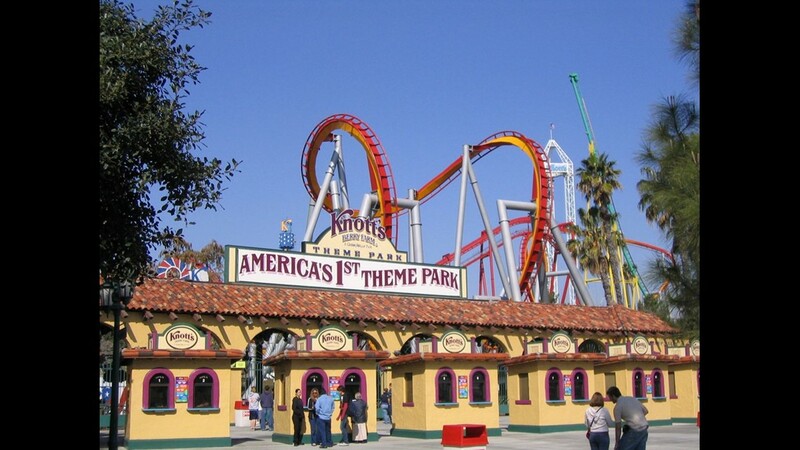 Knott's Berry Farm is the oldest theme park in Southern California. 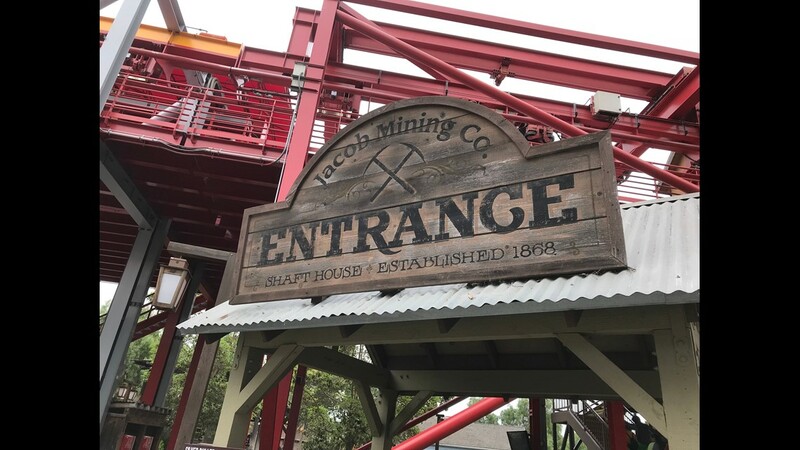 While it retains some of the old attractions, like gold panning and a ghost town, it also has cutting-edge thrill rides. 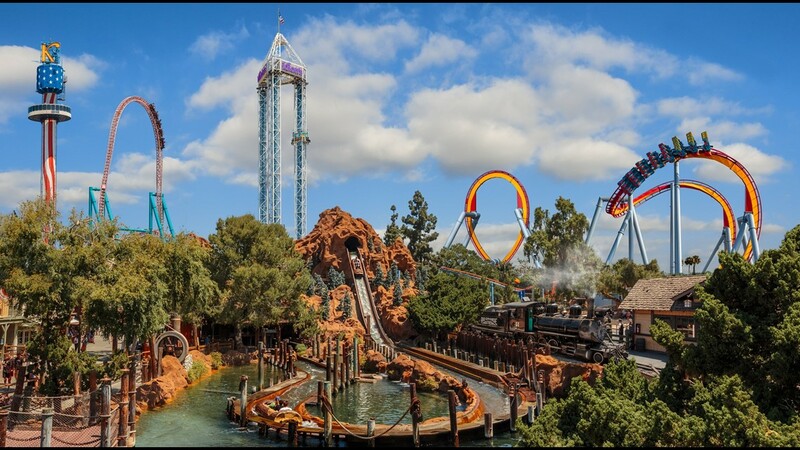 While not known for roller coasters, Knott's Berry Farm has its fair share. Riders on Sol Spin and lifted and spun in unpredictable ways. Imagine Superman attempting to fly after way too many cocktails. The very odd entrance to the Silver Bullet roller coaster at Knott's Berry Farm. According to the unnecessary backstory, Jacob invented a silver bullet that vanquished demons. It only gets more complicated from there. The eight-person train is on the precipice of HangTime, the latest thrill ride at Knott's Berry Farm. 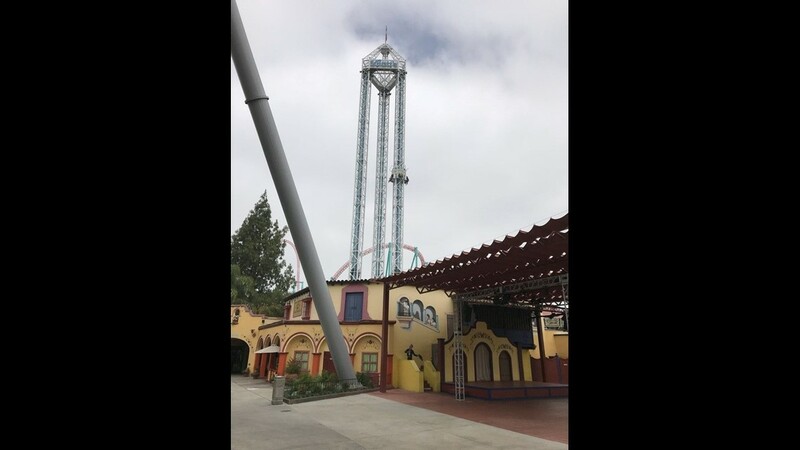 The tower of Supreme Scream, a drop ride, dominates the Knott's Berry Farm skyline. Xcelerator The Ride goes from 0 to 82 mph is less than three seconds, guaranteed to remove any hats and sunglasses, if not eyebrows. Riders board horses on Pony Express, giving a new feel to a familiar experience. 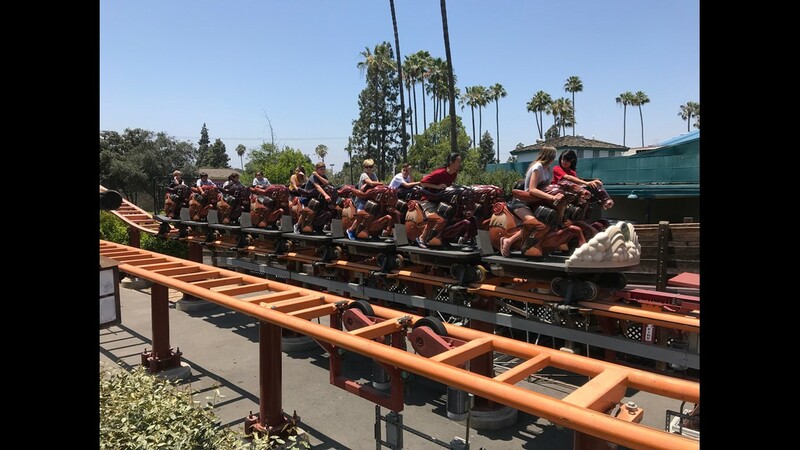 It may look strange, but riding a roller-coaster pony adds a different dimension to the Pony Express ride at Knott's Berry Farm. 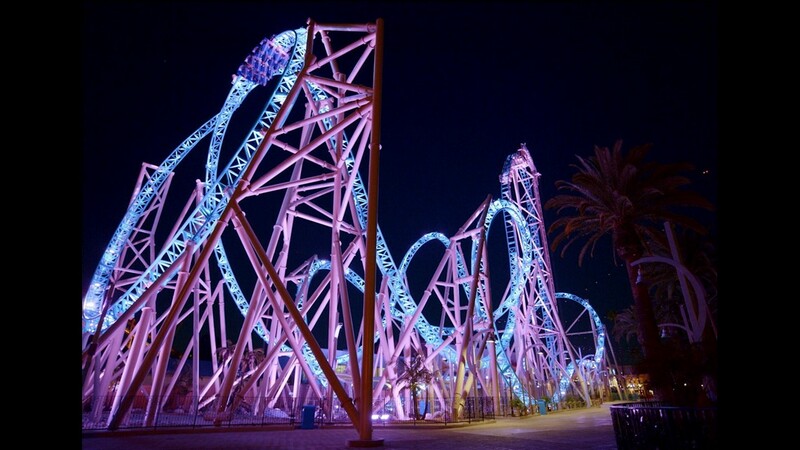 The entrance to HangTime, Knott's Berry Farm's latest attraction. 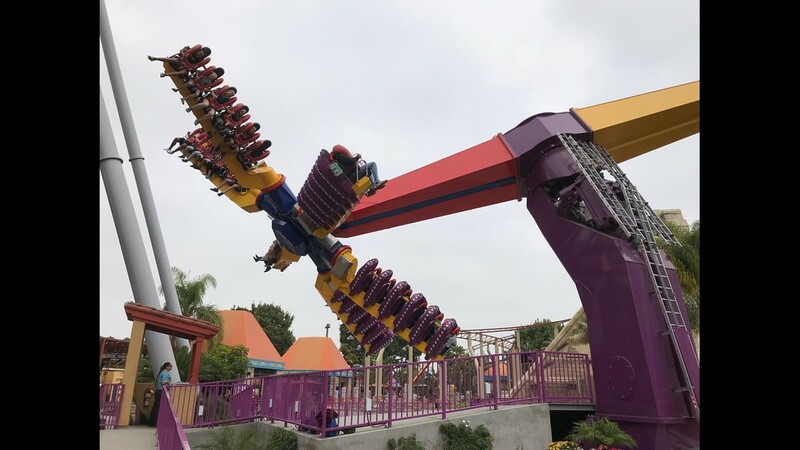 Rider ascend at a 90-degree angle on HanTime, the latest attraction at Knott's Berry Farm. 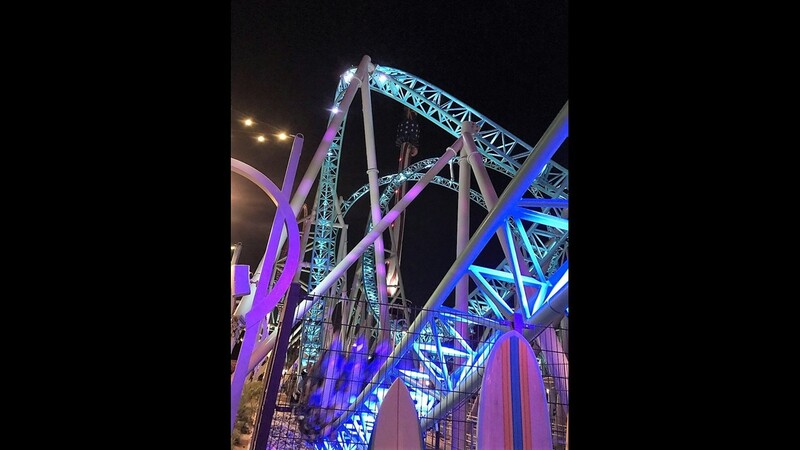 HangTime, the latest attraction at Knott's Berry Farm, seems to glow at night. 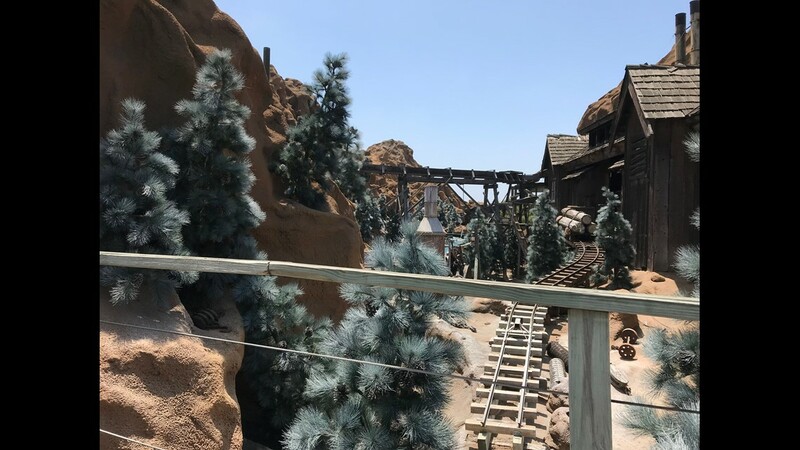 A logging theme is predominant through the line to the Timber Mountain Log Ride, which opened in 1969 at Knott's Berry Farm. Some of Knott's Berry Farm's best theming is found in its older attractions, including the Timber Mountain Log Ride. 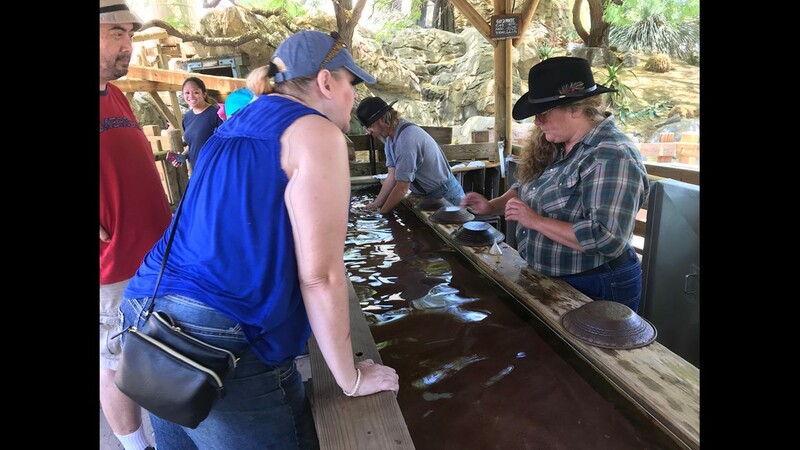 Gold panning at Knott's Berry Farm goes back more than 50 years. For $10 a pan, you are guaranteed a few gold flakes (worth a buck or two). 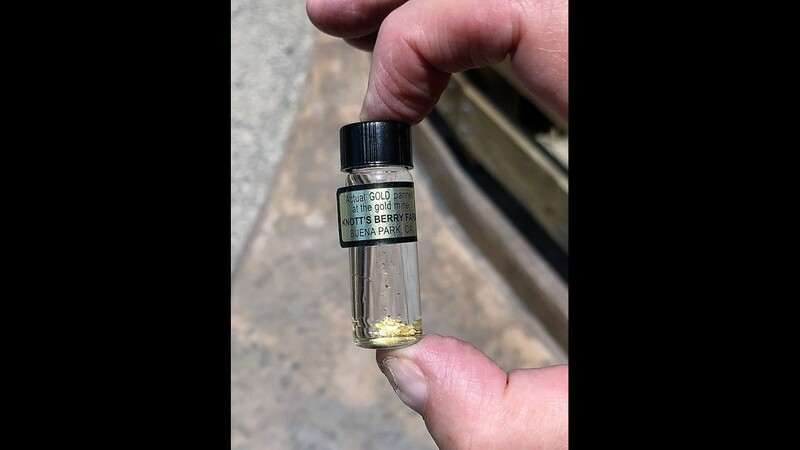 All who pan for gold at Knott's Berry Farm are guaranteed a few flakes. Visitors stroll along the horse-free paths of a ghost town at Knott's Berry Farm. 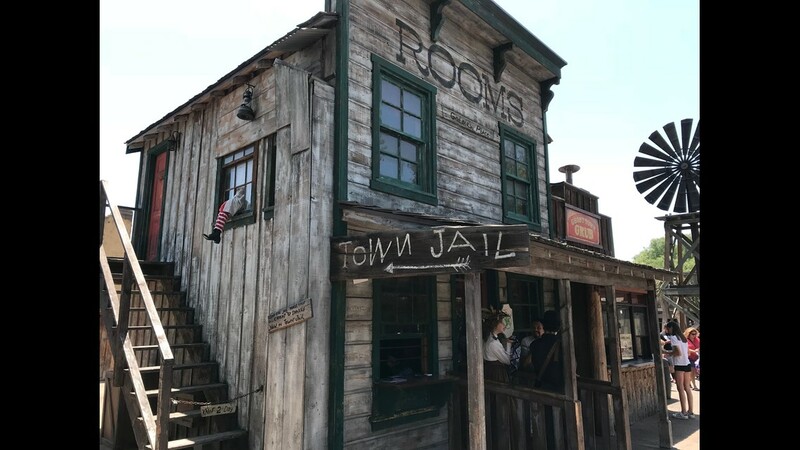 The town jail at Knott's Berry Farm's ghost town. 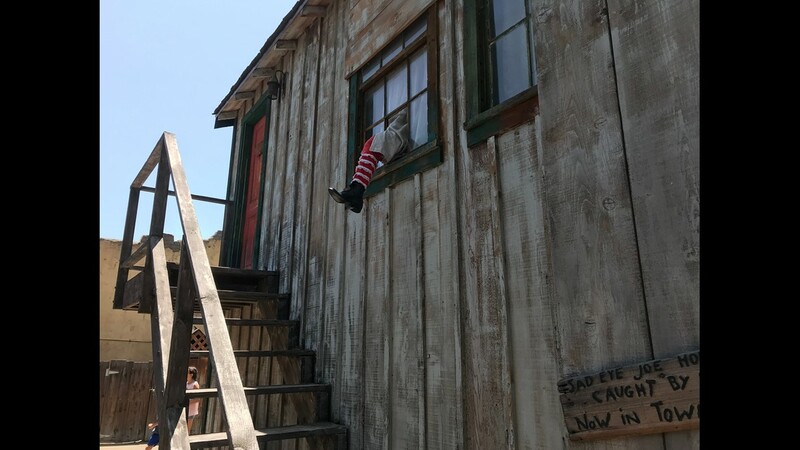 Looks like the Wicked Witch of the East is making a break out of the town jail in the ghost town at Knott's Berry Farm. Walter Knott first built the ghost town at his berry farm to keep people entertained as they waited to be seated at the family's chicken restaurant. 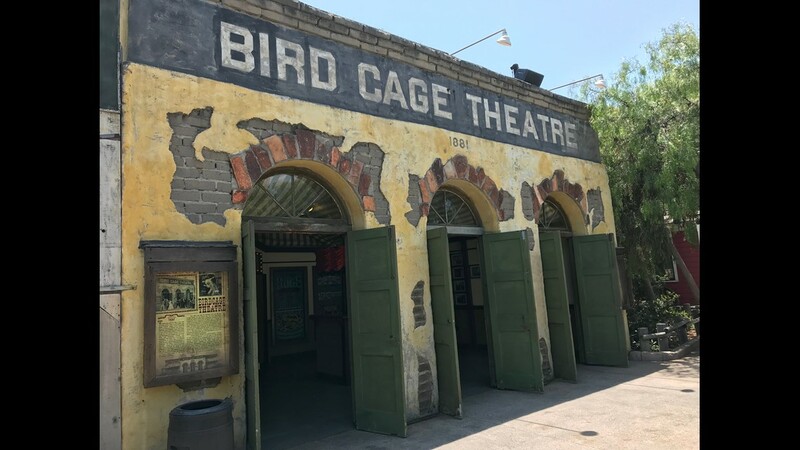 Any similarity between the Bird Cage Theater at Knott's Berry Farm and the Bird Cage Theatre in Tombstone is intentional. 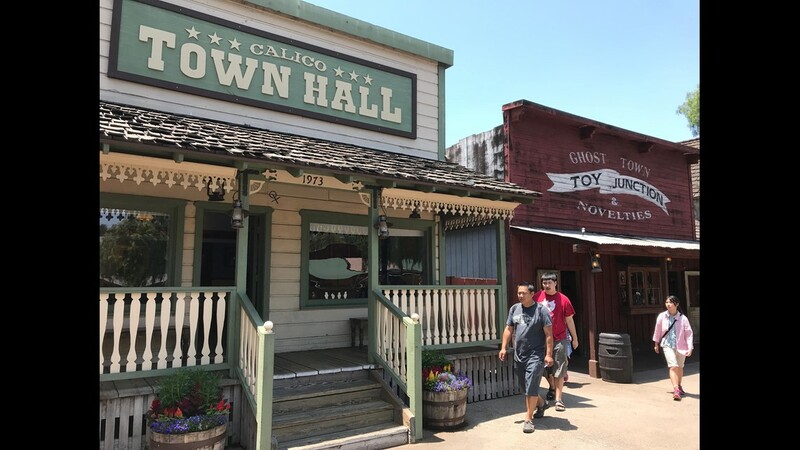 Head into the Calico Town Hall at Knott's Berry Farm and you may meet the mayor as part of Ghost Town Alive!, an immersive experience conducted daily during the summer. The ghost town at Knott's Berry Farm features a working blacksmith shop. 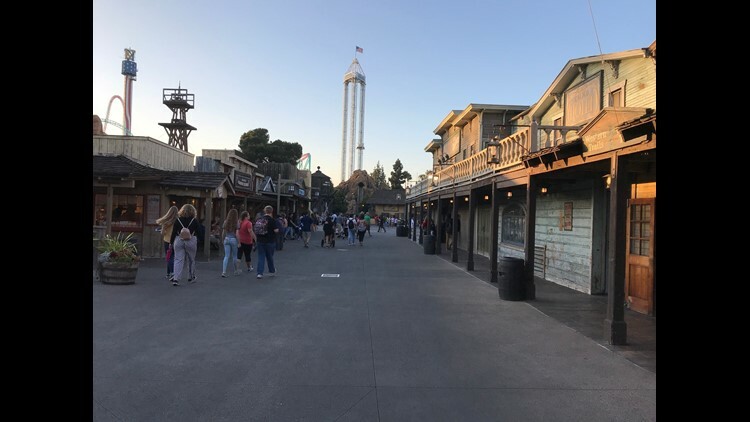 The sun begins to set on the ghost town at Knott's Berry Farm. 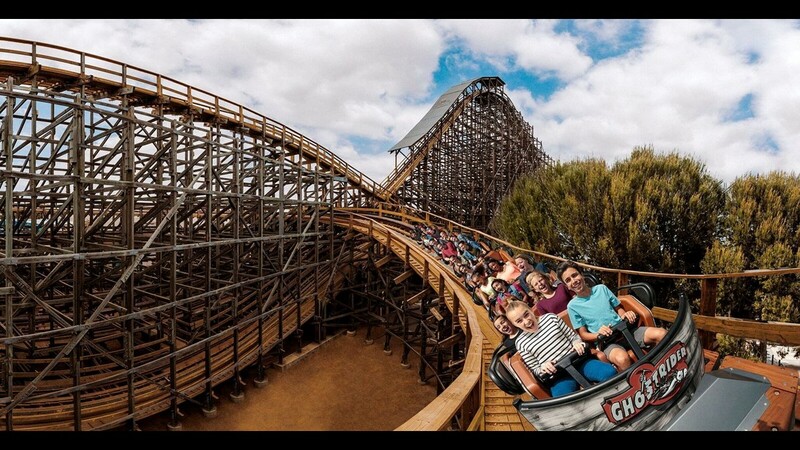 The recently refurbished Ghost Rider, a classic wooden roller coaster, is among the best rides at Knott's Berry Farm. Knott's Berry Farm offers more thrill rides than Disneyland and Universal Studios Hollywood. 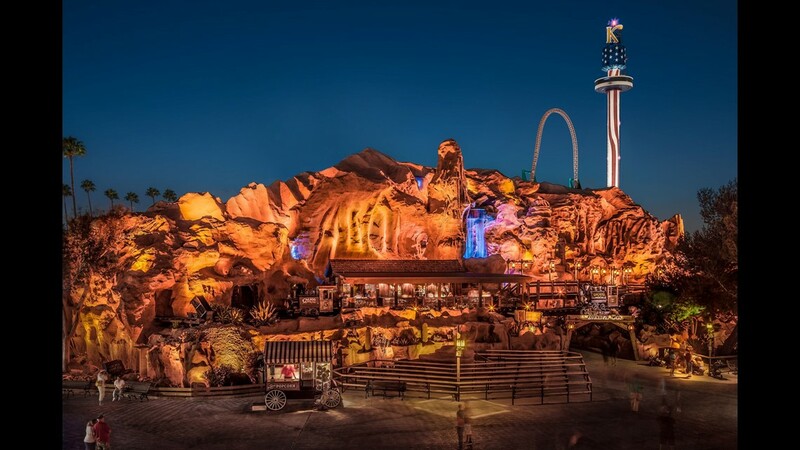 The Calico Mine Ride is among the largest dark rides in Southern California. No need to pay for park admission to eat at Mrs. Knott's Chicken Dinner Restaurant. 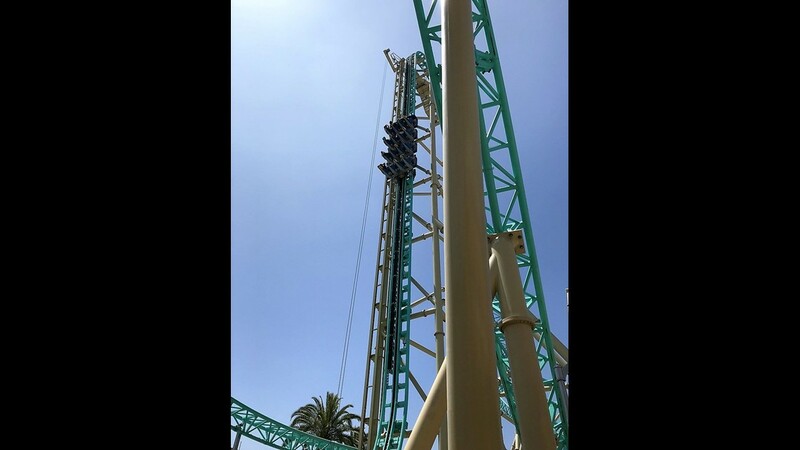 The HangTime coaster is the latest thrill ride at Knott's Berry Farm. 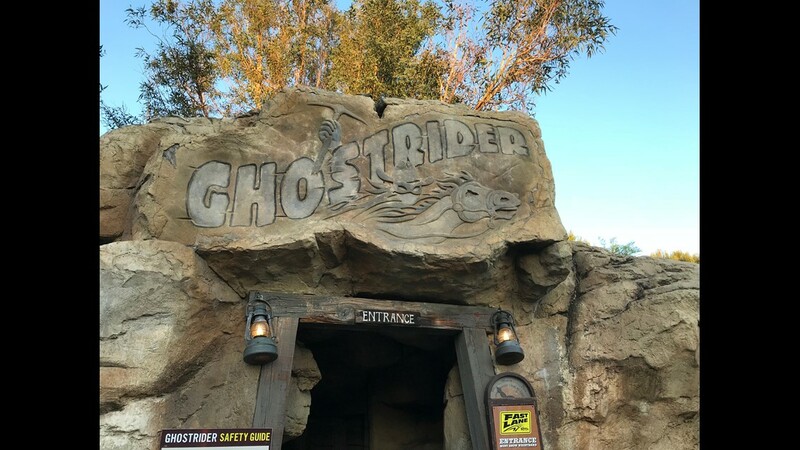 The Ghost Rider is a surprisingly smooth and fast coaster at Knott's Berry Farm. 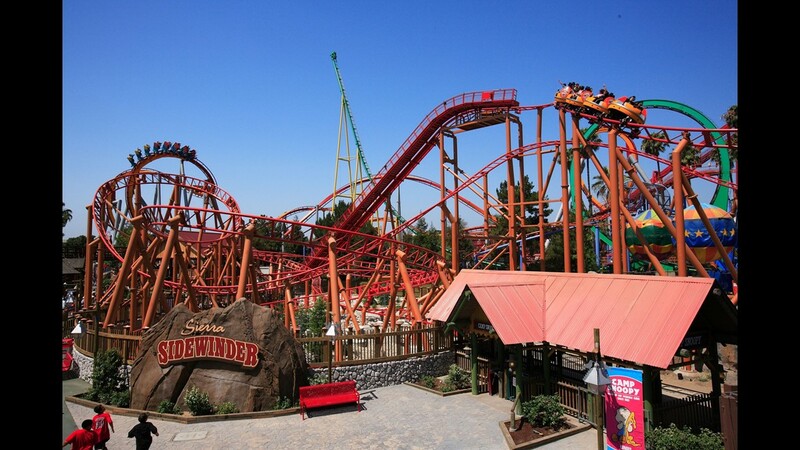 Riders spin and twirl on the Sierra Sidewinder. 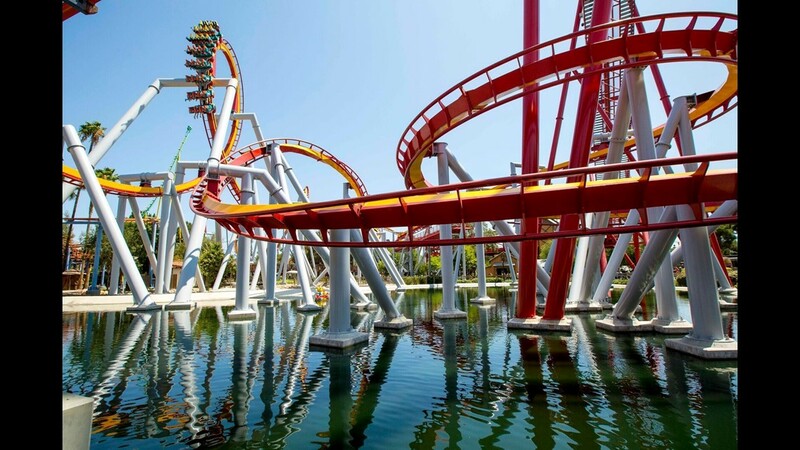 The Silver Bullet swoops and dives at Knott's Berry Farm. 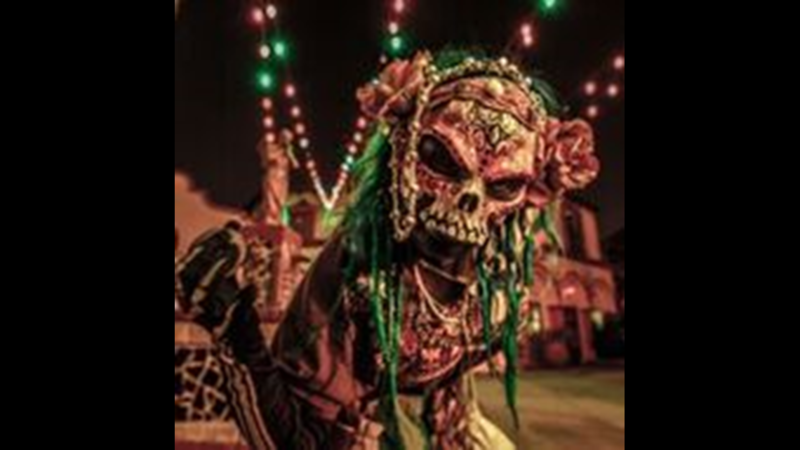 Some revelers are more into it than others at the Fiesta de los Muertos at Knott's Scary Farm. 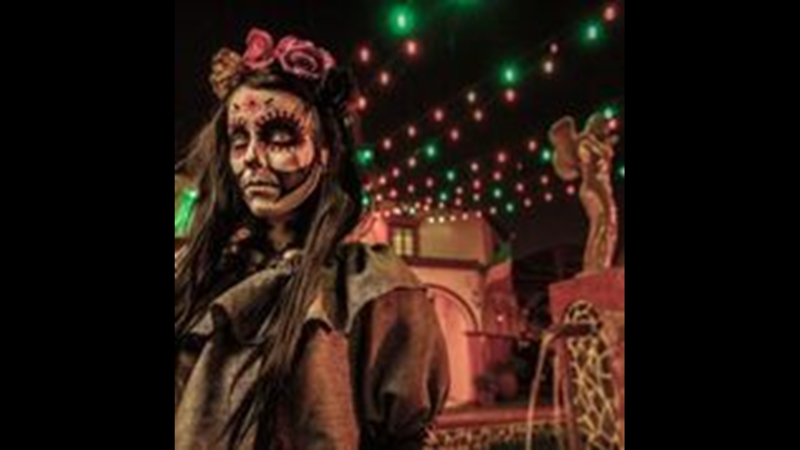 The Focus is more on the "muertos" than the "fiesta" at the Fiesta de los Muertos Knott's Scary Farm. 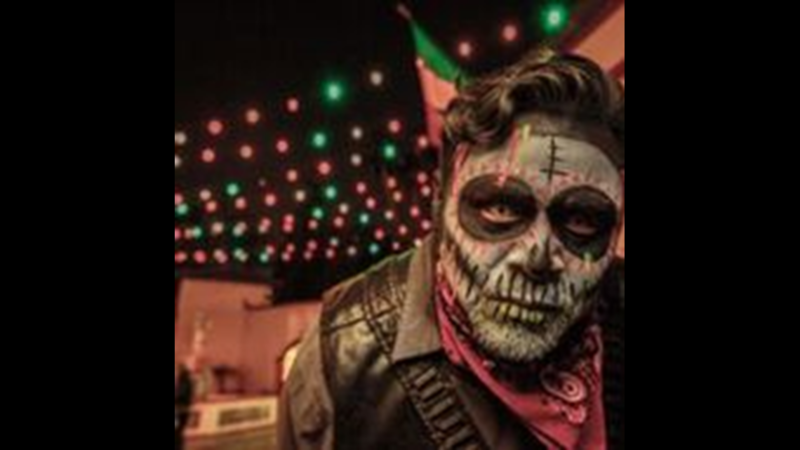 Face painting is an art at the Fiesta de los Muertos at Knott's Scary Farm. 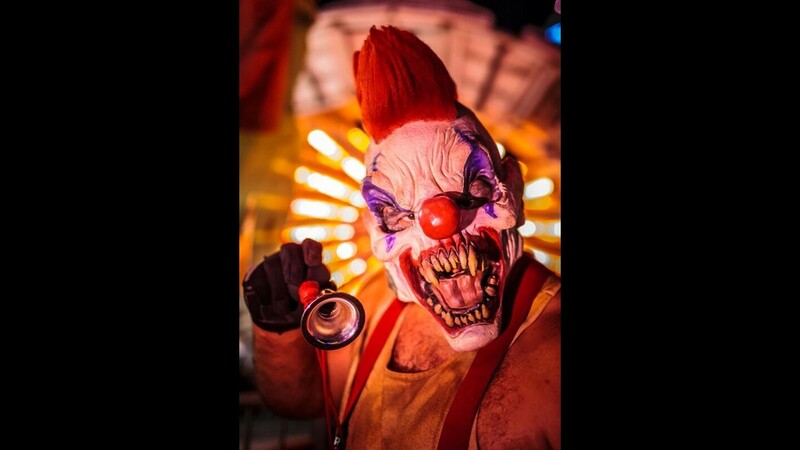 There's always one that gives clowns a bad name, but you'll find many more at Carnevil at Knott's Scary Farm. 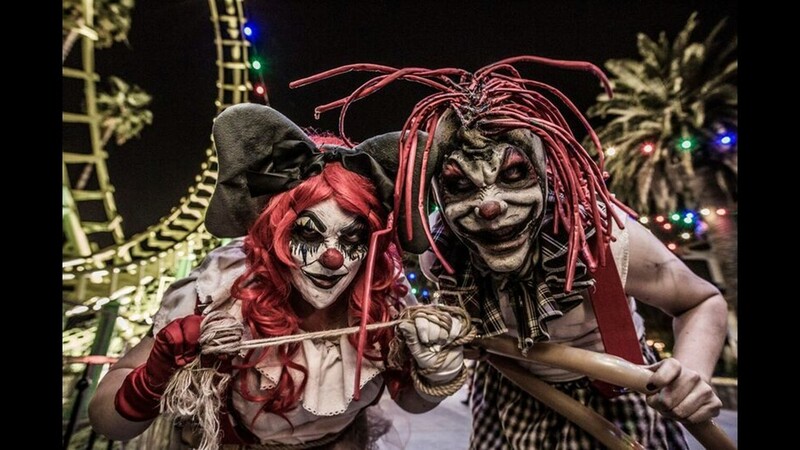 Don't expect any confetti or seltzer water from these clowns in Carnevil at Knott's Scary Farm. 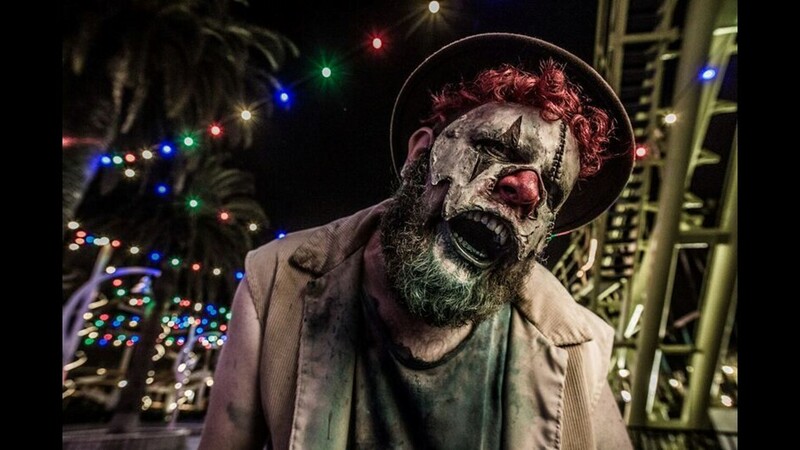 Still recalling the kid who got away, a creepy clown looks for more victims in Carnevil at Knott's Berry Farm. 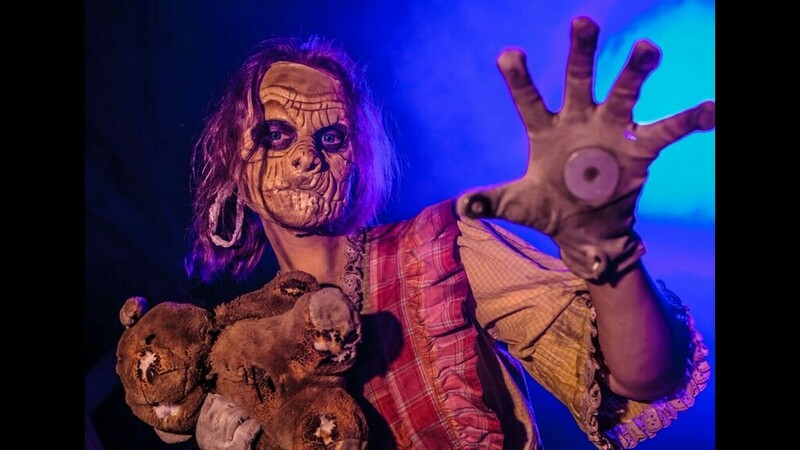 Should you encounter this woman on Ghost Town Streets at Knott's Scary Farm, know that she's probably not offering up a high-five. It's not so much the fog that's eerie, it's the witch that suddenly appears in it, on Ghost Town Streets at Knott's Scary Farm. 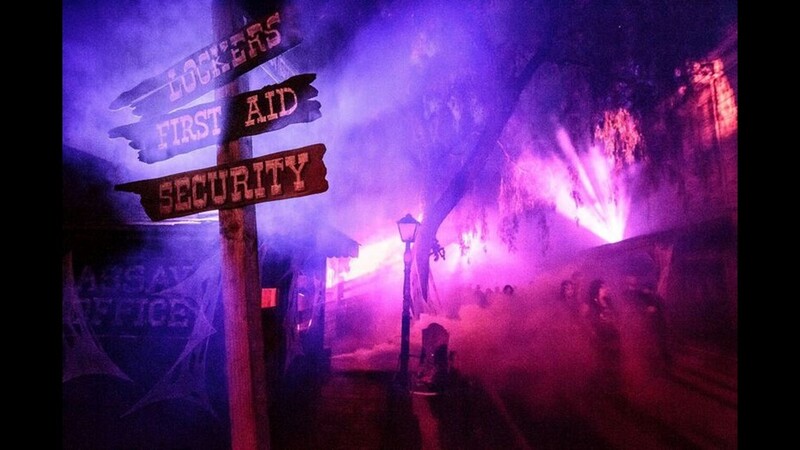 A sign lists your needs in reverse order of importance at Ghost Town Streets in Knott's Scary Farm. Disneyland: From $64 a day (if you buy a $320, five-day passport good for one park a day) to $135 (for a one-day pass during the busiest time of year). The most popular ticket may be the $330 three-day Parkhopper. Knott’s: One-day admission is $50 if you buy online for a specific date or $62 if you buy an online ticket good for any day. Admission is $80 at the gate. Disneyland: Add MaxPass for $10 a day per person. 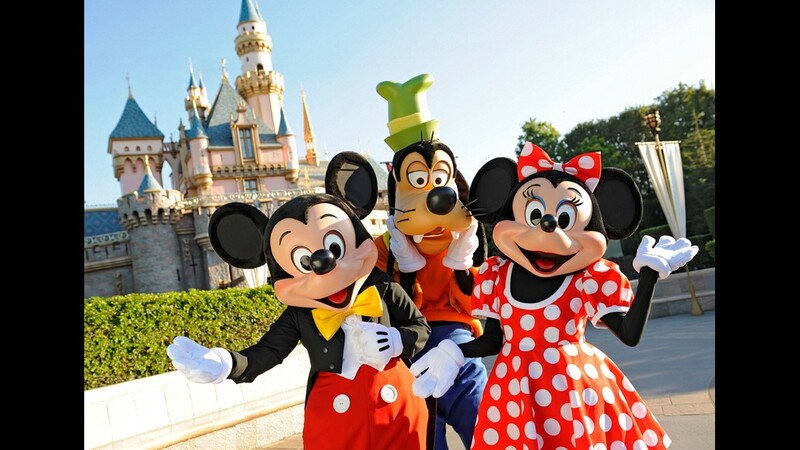 It allows unlimited downloads of photos taken by Disney photographers and the ability to schedule a Fastpass from your phone instead of finding a kiosk. Knott’s: The Fast Lane pass ($69 to $75 when purchased online) allows buyers to bypass the line to 13 rides. The $32 dining plan allows the user to order entrées and side dishes all day as long as there are 90 minutes between orders. Winner: Knott’s. On busy days, Fast Lane tickets allow you to make the most of your time. Disneyland: Few and far between. A few sites offer slim discounts, including Undercover Tourist and Get Away Today. But Disney knows it doesn't need heavy discounting to draw a crowd. Knott's: The $30 discount for buying admission online is a 37 percent savings. If Disney offered similar savings, a one-day ticket would be about $80. Disneyland: With three hotels and a fourth on the way, there’s usually room at a Disney inn. If not, there are dozens of others within a mile or two, from tacky to tremendous with prices to match. Many of those not within walking distance offer free shuttles. 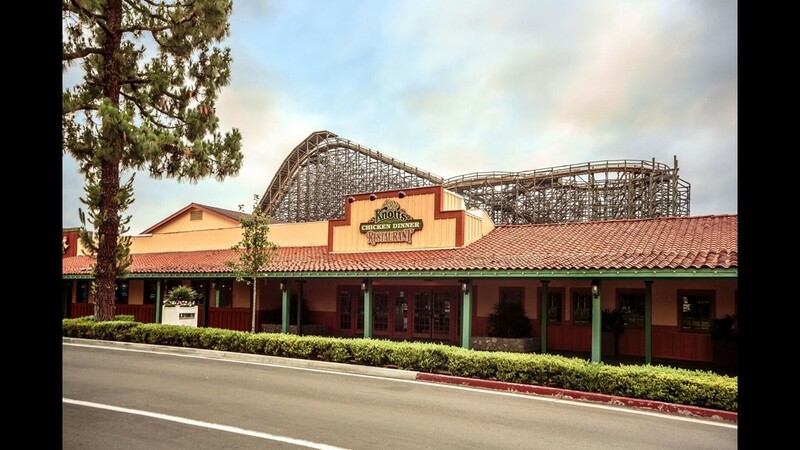 Knott’s: The Knott’s Berry Farm hotel at the front gate offers decent rooms at a price 20 to 30 percent higher than the few hotels in the area. With just one other hotel within walking distance and a handful of others within a mile (no free shuttles), lodging is the biggest chink in Knott’s armor. But as we’ll see later (under Crowds), the park probably isn’t concerned. Winner: Disneyland, by a length too far to walk. 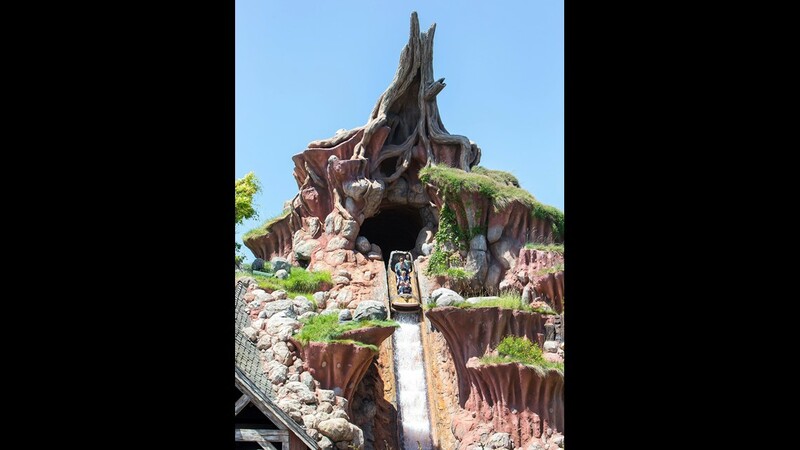 Honorable mention: Splash Mountain | Though it could stand an update, the final drop in this flume ride is worth floating through the various (and dated) "Song of the South" scenes. Here's hoping they boot the B'rers (Rabbit and Bear) and install the Avengers. Call it Bash Mountain (or, based on the value of the Marvel franchise, Cash Mountain). 10. 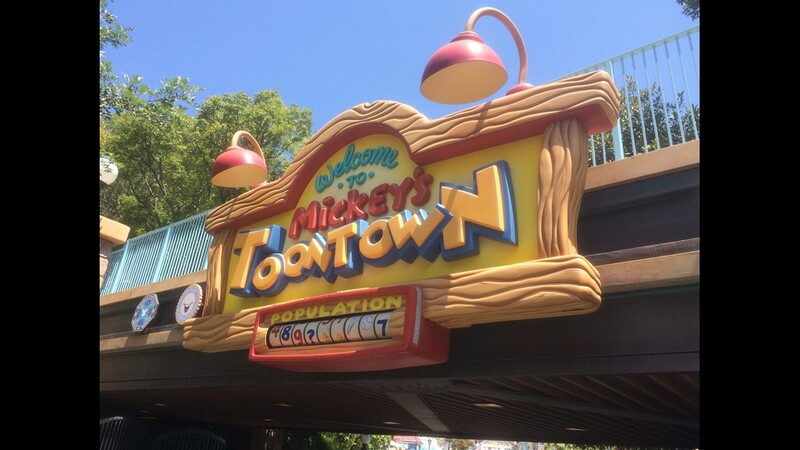 Roger Rabbit's Car Toon Spin | Combine the hurl-inducing effects of spinning teacup with the black-light effects of a dark ride and you have this Toontown (pictured) favorite. The cars don't seem to achieve the RPMs of which the teacups are capable, but maybe that's because Car Toon Spin has more things to hold your attention, if not your lunch. 9. Peter Pan's Flight | Board a sailing ship and soar over London toward Neverland in the greatest dark ride ever made. The attraction is so masterfully done, there is no way to improve upon it. 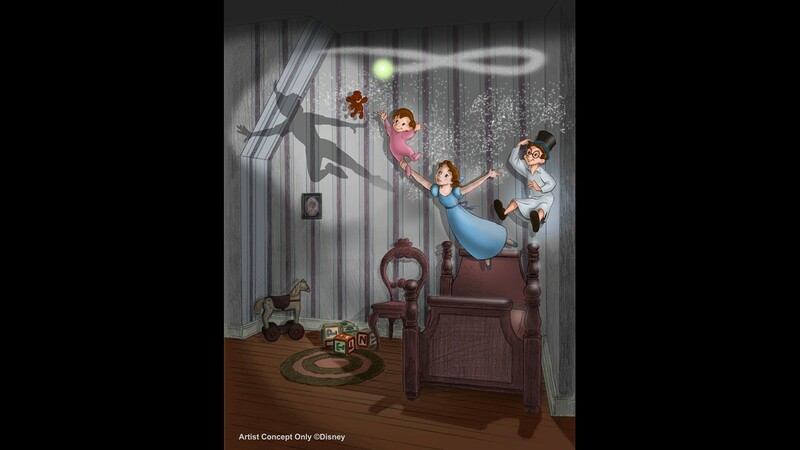 Peter Pan will forever stand the test of time. 8. 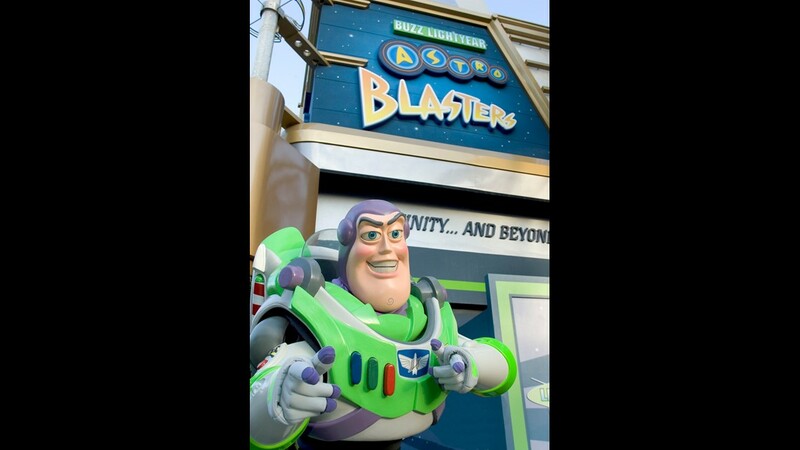 Buzz Lightyear's Astro Blasters | In a blatant attempt to reach video gamers, Imagineers developed this hybrid ride/laser tag attraction. Each rider fires away at targets and the one with the highest score wins (nothing). Riders spin the cars using the centrally located joystick, bringing the added enjoyment of messing up your opponent's shots. Never relinquish control of the joystick. 7. Thunder Mountain Railroad | This is by far the best ride to take at night. The last hill especially is worth waiting for dark, as lit fuses race along the mine shaft to ignite the dynamite. It's also not a bad coaster, with scenes reminiscent of the original Mine Train ride of more than 50 years ago. 6. Star Tours — The Adventure Continues | Before a much-needed update a few years, the farce was with this attraction. The 2-D film and PeeWee Herman-voiced pilot are gone, replaced by 3-D and C3PO. You're likely to get a different journey each time as computers shuffle the scenes. The pod-racing bit remains a favorite, with a visit to Kashyyyk, the Wookiee planet, right behind. 5. 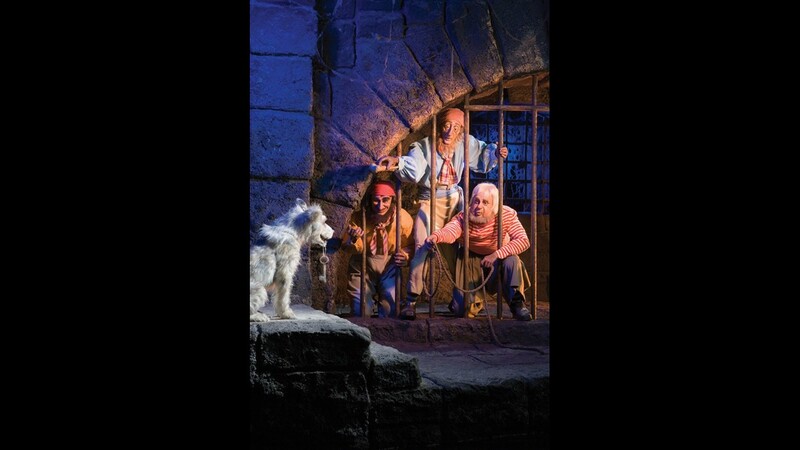 Pirates of the Caribbean | This may be the park's most iconic ride, and not just because it was the last one Walt Disney oversaw from start to finish. Filled with as many gags as animatronic figures, even a pandering update for the sake of the movie did not diminish its classic look and feel. It's also one of the lengthier rides, a nice break from the summer heat. The lackluster queue, however, leaves much to be desired. 4. Matterhorn | The views and vintage thrills make this a winner. Younger visitors may take potshots at the world's first steel-tube coaster, with its slow roll down the mountain. 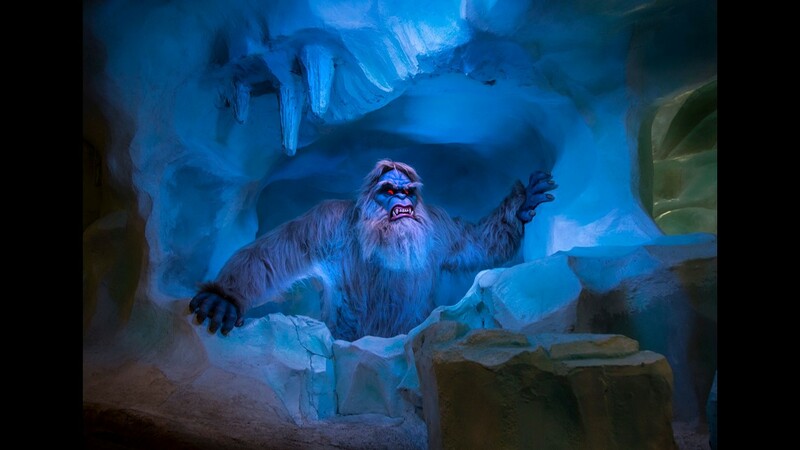 A recent and welcome upgrade replaces the creaky abominable snowman with a more fearsome animatronic monster (and don't miss what lurks on the lift hill). Money may have been better spent smoothing out a bumpy ride, but the Matterhorn's old-fashioned charm likely will never be embraced by those Millennial whippersnappers. Fine. Now get off my mountain! 3. 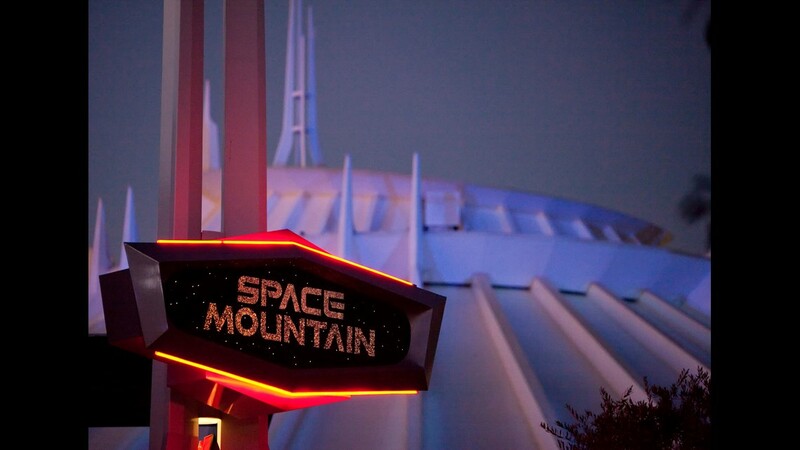 Space Mountain | Want to guess how fast you're traveling through space during this indoor ride? About as fast as you drive through your neighborhood — 30 mph. 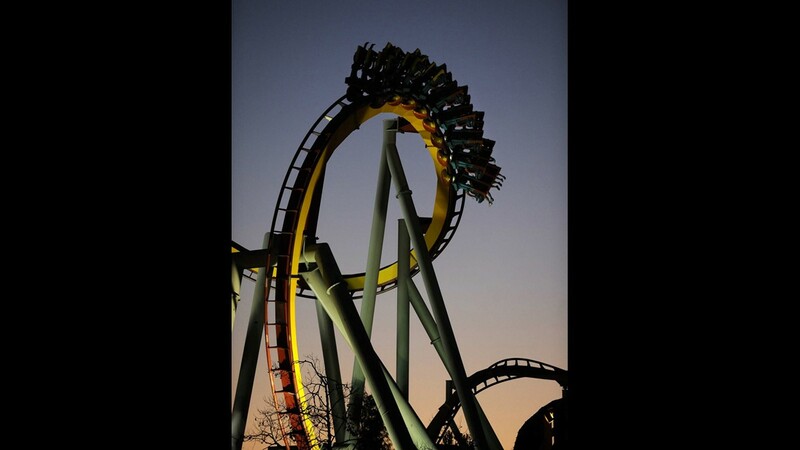 The darkness and wind in your face offer the illusion of speed, which takes nothing away from this roller coaster. It's even better during the Halloween season when it transforms to Ghost Galaxy. 2. 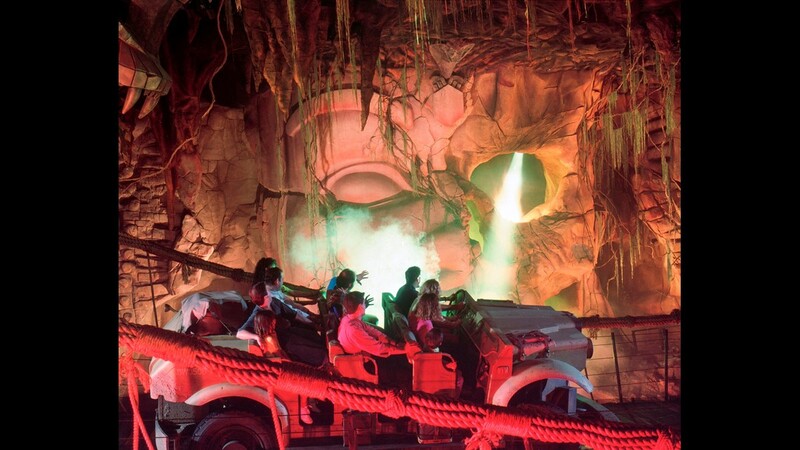 Indiana Jones Adventure | The ride-motion vehicles were cutting-edge for their time, but the effects put this ride at No. 2. The pyrotechnics and projected images, as well as the last-second escape from the rolling boulder, have riders jumping right back in line — and it's a great line through the caves and to the dig site. That troop transport truck parked out front is the one that dragged Indiana Jones (Harrison Ford) in "Raiders of the Lost Ark." 1. 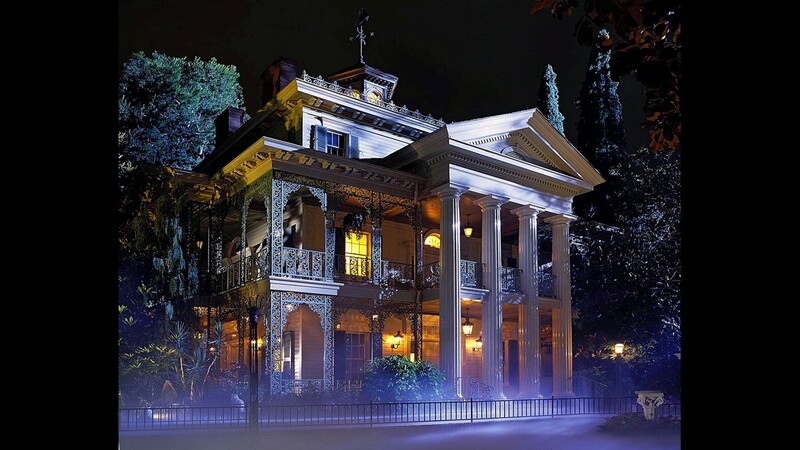 Haunted Mansion | This ride has so many things going for it: fast-moving line, discovery of new details with each ride and the best make-out opportunity for young people in lust. The addition of the legendary Hatbox Ghost, an effect that took more than three decades to perfect, lands this attraction solidly in the top spot. Even if the newest ghost makes the 998 other ghosts seem less spirited. Disneyland: No one outdoes Disney when it comes to experience, details and consistency. 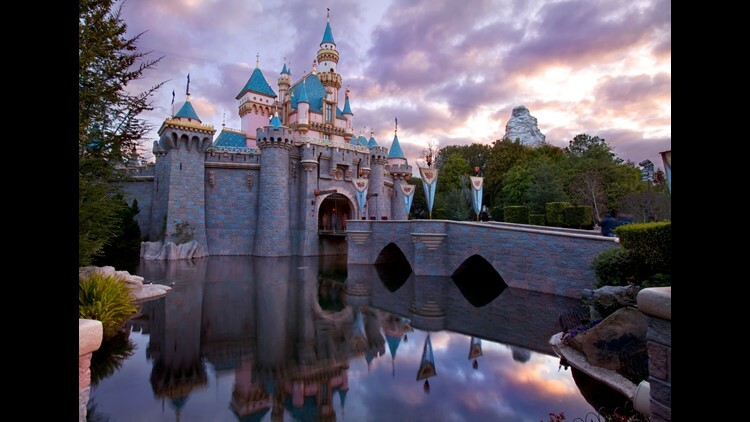 Disneyland and Disney's California Adventure have some of the best rides and attractions in the country. From Pirates of the Caribbean to Haunted Mansion and the new Star Wars Land opening in summer 2019, Disney remains the theme-park standard. 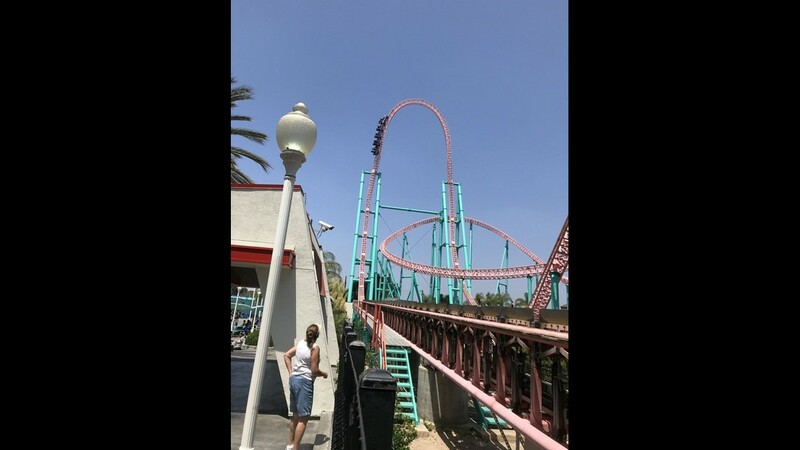 Knott’s: The oldest theme park in Southern California now tilts toward thrill rides, thanks to eight roller coasters and assorted adventures that lift and twist you high in the air. 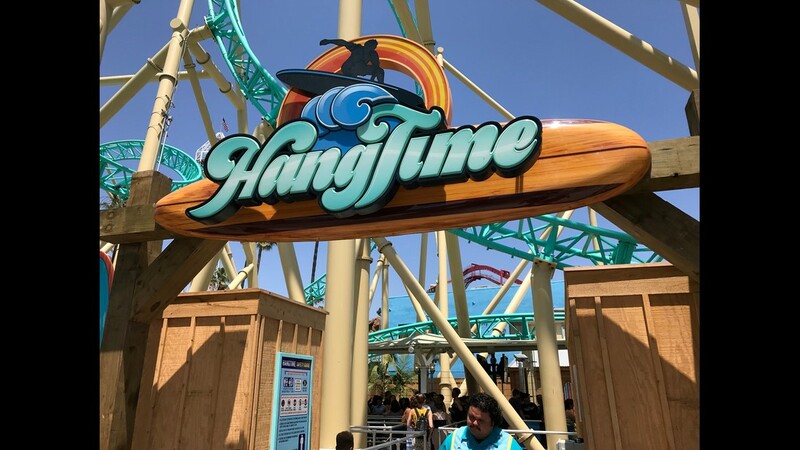 Its latest, HangTime, is the first dive coaster on the West Coast, and the classic wooden coaster Ghost Rider offers an incredibly smooth ride. Winner: Disneyland, but not by as much as you'd think. Disneyland: As soon as you enter Disneyland (and, to a lesser extent, California Adventure), you are immersed in Walt Disney’s vision. Berms and buildings block the outside world, and everything from architecture to paint schemes are designed to take you out of reality. No details are too small. Even the food kiosks and trash cans are designed for specific locales. 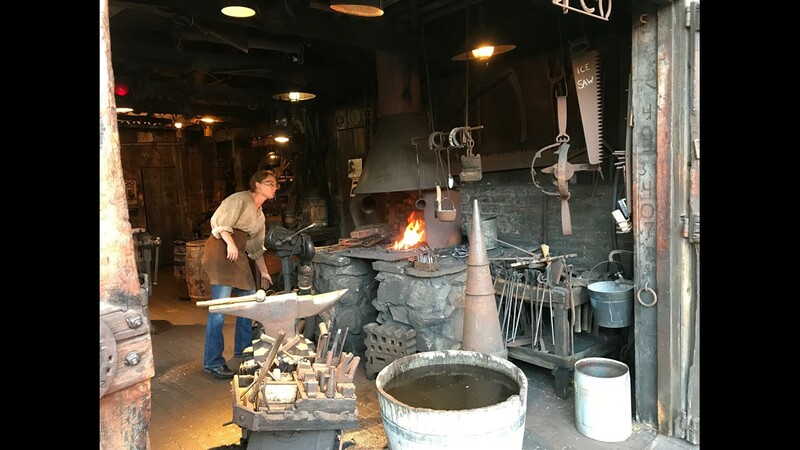 Knott’s: Most of the effort is put into the ghost town, with solid results. But the immersive environment is lacking elsewhere, particularly along the Boardwalk. It comes across more as a county fair, down to the plethora of midway games that lend a cheesy look and attitude. Disneyland unveiled their new attraction: The Pixar Pier at California Adventure. 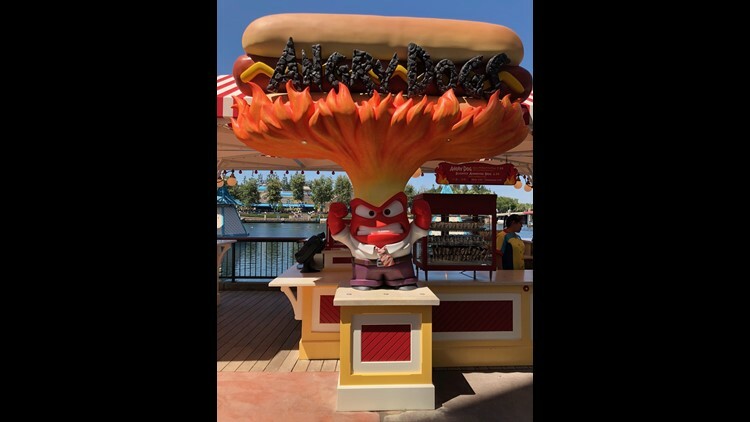 The pier offers new food options, like the Angry Dogs stand, based on the Pixar film "Inside Out". Disneyland: Since the very first popcorn cart it installed, Disney knew the important role food plays in keeping people happy and, more importantly, in the park. It starts with the churro, a hand-held delight, and goes up the culinary ladder to the upscale fare in Blue Bayou. Fare ranges from serviceable (pizza and hamburgers) to outstanding (breakfast at Carnation Café, dinner at Carthay Circle Lounge in California Adventure). Knott’s: The food lines are shorter, the empty tables more numerous. The offerings rarely rise above, "Yeah, it's fine." Knott’s pins its culinary reputation on Mrs. Knott’s Chicken Dinner Restaurant just outside the front gate. The fried chicken is succulent and crispy but could some herbs and spices. The farm's signature boysenberries elevate everything from preserves to pie. Winner: Disneyland. But Knott’s boysenberry pie rivals Jack-Jack’s Cookie Num Num (California Adventure) as best dessert served warm. Disneyland: Old-timers still recall days when waits for even the most popular rides rarely exceeded 45 minutes. They speak of pathways so clear that normal walking speeds were easily maintained. Crowds now range from "heavy" to "I've seen worse." And when the visitor apocalypse descends with the new Star Wars Land next summer, it will be the end of (reasonable wait) times. 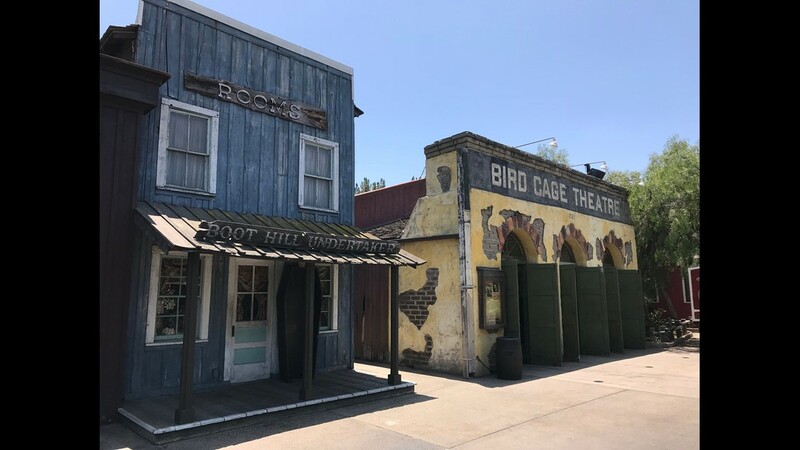 Knott’s: Assuming the Disney old-timers are correct (answer: they are, as I am one of them), visiting Knott’s today is like stepping into a Disneyland of yesteryear. Even as wait times climb toward an hour for the most popular rides, the walkways remain easily navigable. Disneyland: Families and more families, many with children who require strollers. Looking at the pedestrian traffic yields no clue that America’s birthrate is actually dropping. 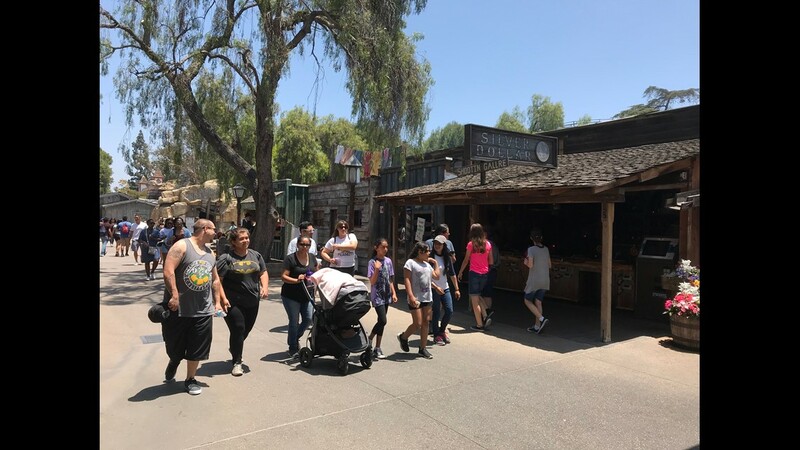 Knott’s: Unaccompanied teens enjoy unfettered access thanks to an affordable annual pass ($127) and parents who find $127 a reasonable price for adequate summer-long teen care. As the park closes, a blocks-long line of cars stretches from the designated pickup spot. Winner: Knott’s, due to well-behaved adolescents and dearth of strollers. Along Buena Vista Street at Disney California Adventure park, guests will enjoy Halloween decorations in store windows and in Carthay Circle, they’ll see a 10-foot-tall statue of the Headless Horseman, holding up his jack-o-lantern head to the sky. 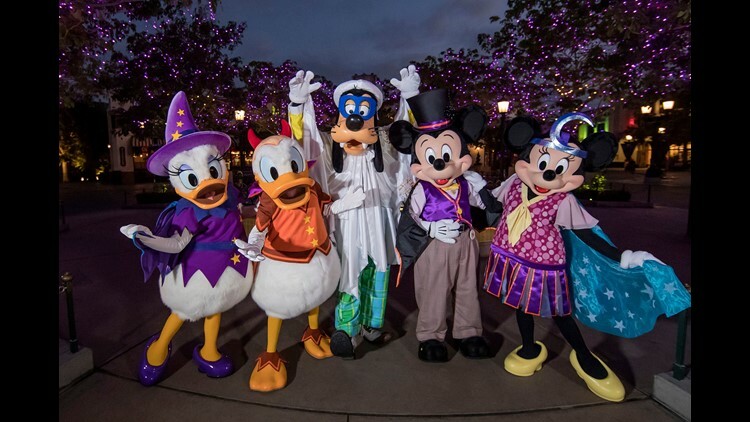 Mickey and his friends also will be in the area, donning their period-appropriate Halloween costumes, such as a bat for Mickey Mouse, a ghost for Goofy and a witch for Daisy Duck. Disneyland: Cast members beam as if they are truly having one of the happiest days of their lives, without a hint of the eerie Stepford vibe you’d expect from perpetual glee. Whether you ask for directions or plead to ride the train up front with the engineer, you get the idea that employees really want to help, even as they apologize profusely because someone’s already keeping the engineer company. Knott’s: Teens with summer jobs act like teens with summer jobs. Not that there’s anything wrong with that. Winner: Disneyland. And no, we don’t want to learn any secrets from former cast members about their Disney indoctrination. 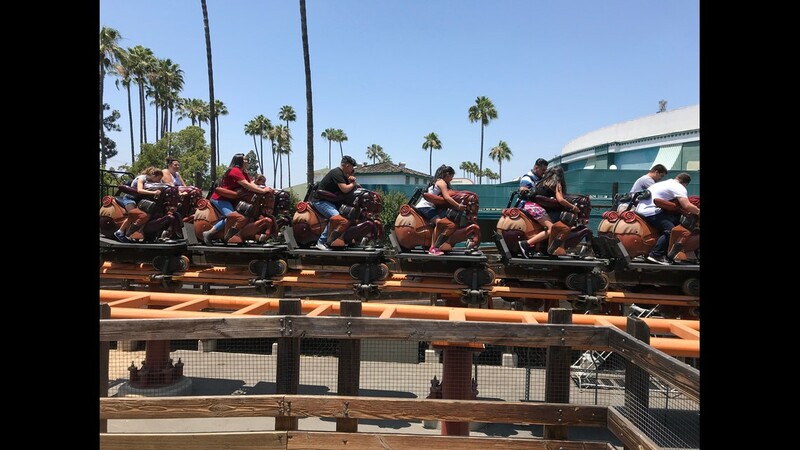 Knott’s: Knott’s is largely hands-off when it comes to the preride experience. Allowing visitors to choose their own seats isn't very expedient (sorry, Southwest Airlines). Nor do many people have qualms about jumping the line to join friends. 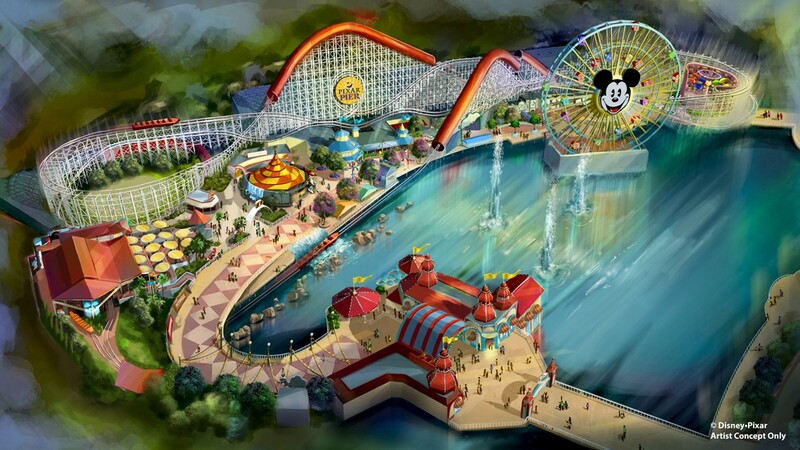 Winner: Disneyland, but Knott’s if you’re a free-range teen. Final score: Disney 6, Knott's Berry Farm 5. Disney has been, and will be for many years to come, the place to go when planning a theme-park visit. 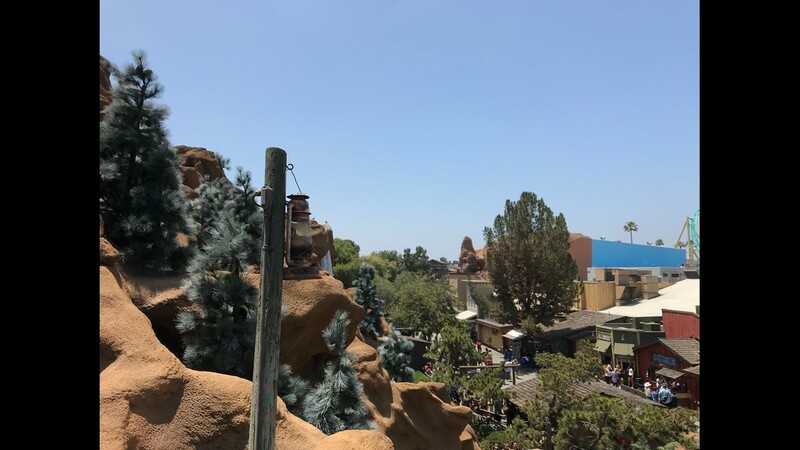 But should you ever need a vacation from Disney – anyone who’s collapsed from exhaustion on a Disney bench in the middle of the day knows what we’re talking about – carve out a day to see how Knott’s Berry Farm has changed in the 20 years since you last saw it. Universal Studios Hollywood vs. Orlando: Which is better? Let’s take a whirlwind tour and run down all of the exciting rides, attractions, lands, shows, and other developments that the Disney parks have in store. Mouse ear hats are optional. 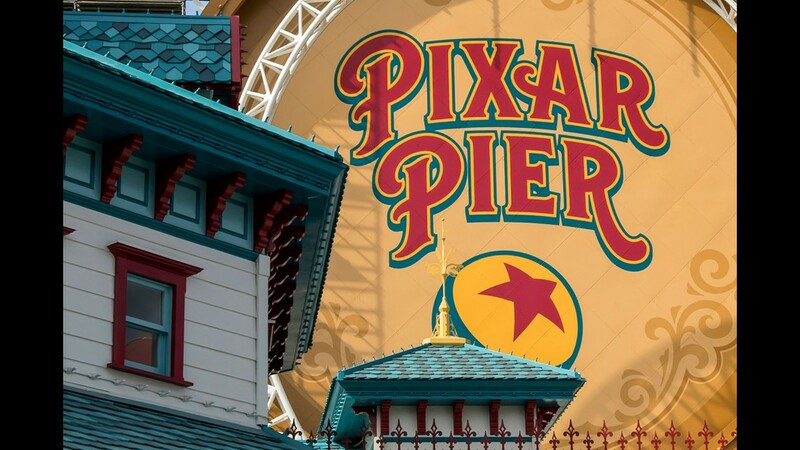 Disneyland Resort: Pixar Pier (Opening date: June 23, 2018): Disney California Adventure’s original Paradise Pier is getting a Pixar overlay and will be renamed Pixar Pier. Existing and new rides will be themed to three of the animation studio’s popular film franchises: "The Incredibles," "Inside Out," and "Toy Story." 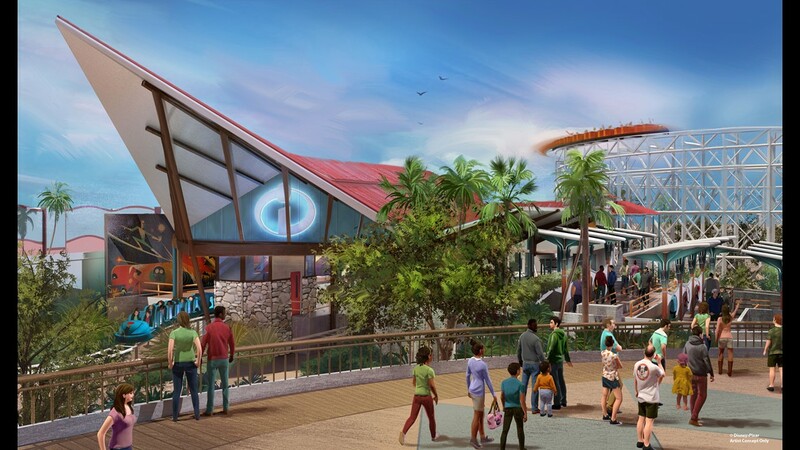 Disneyland Resort: Incredicoaster (Opening date: June 23, 2018): Among Pixar Pier’s featured attractions will be the Incredicoaster. The existing California Screamin', one of the world's longest roller coasters and one of Disney’s most thrilling rides, will be rebranded using the Incredibles superhero family. 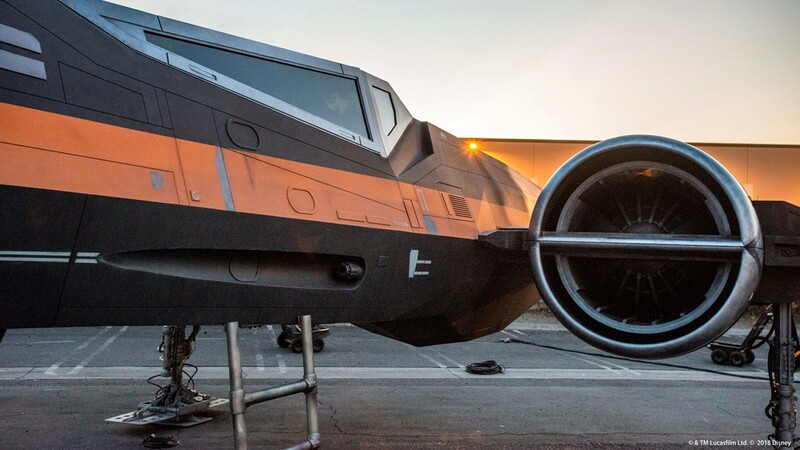 It will include lighting, special effects, and projected images of the characters in its launch tunnels. Disneyland Resort: Inside Out attraction (Opening date: TBA): When it opens in June 2018, Pixar Pier will feature neighborhoods based on "The Incredibles" and "Toy Story." A third neighborhood, Inside Out Headquarters, will open later and will include a new attraction based on the popular film. 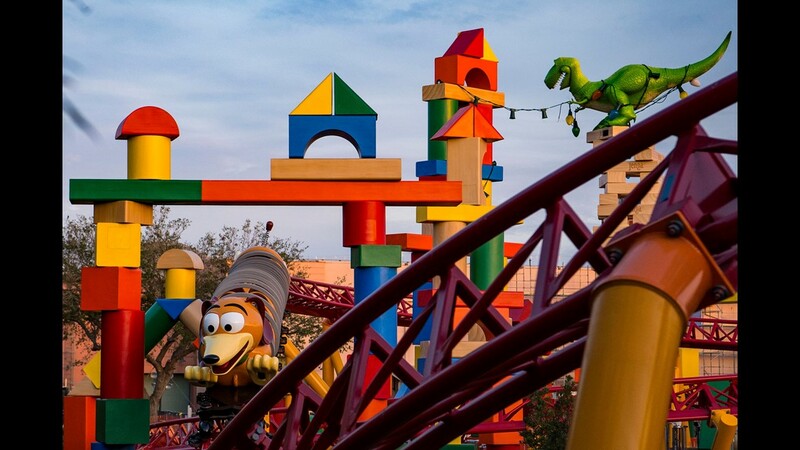 Walt Disney World: Toy Story Land (Opening date: June 30, 2018): Visitors will virtually shrink to the size of one of Andy’s toys and enjoy adventures on two new Toy Story-themed attractions: the spinning Alien Swirling Saucers ride and Slinky Dog Dash, a not-too-thrilling coaster. The land will also incorporate the existing Toy Story Mania interactive shooting ride at Disney's Hollywood Studios. 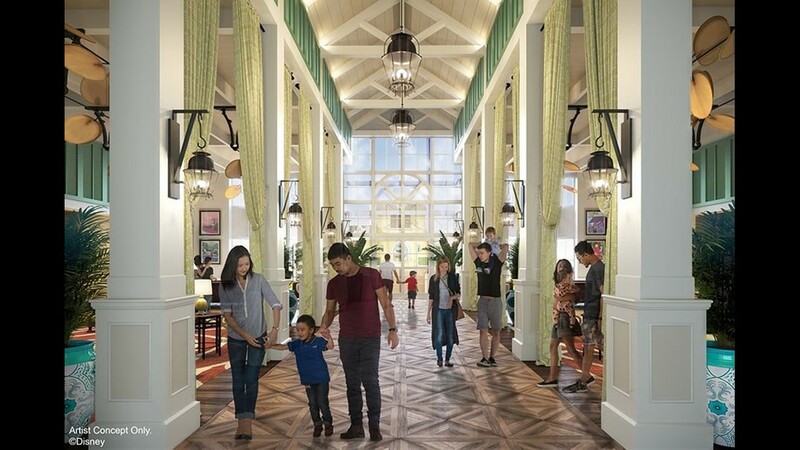 Walt Disney World: Caribbean Beach Resort transformation (Opening date: Fall 2018): One of Disney World's largest hotels, the Caribbean Beach Resort is undergoing a major remodeling. Among the new features will be a new, central registration area and re-imagined dining locations including a quick-service eatery, a table-service restaurant, and a poolside bar. Walt Disney World: Disney’s Coronado Springs resort expansion (Opening date: Fall 2018): One of Disney World’s Moderate Resorts, the Coronado Springs is getting a 15-story tower that will add 500 rooms. 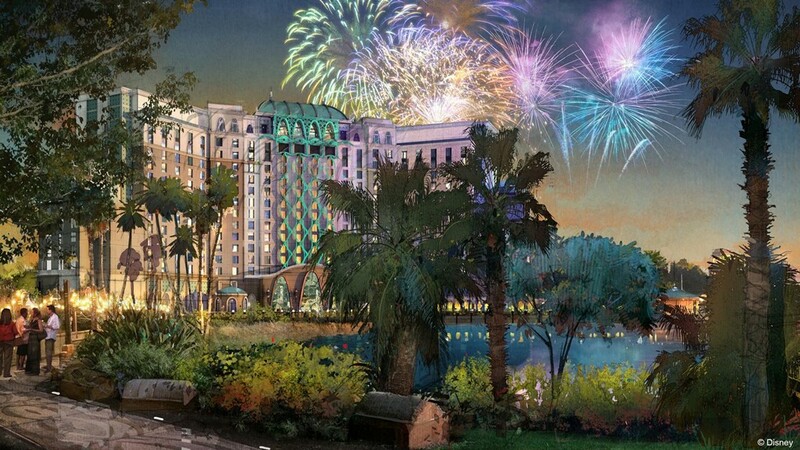 Disney is also remodeling the Mexican-themed hotel’s existing guest rooms and redesigning the grounds. 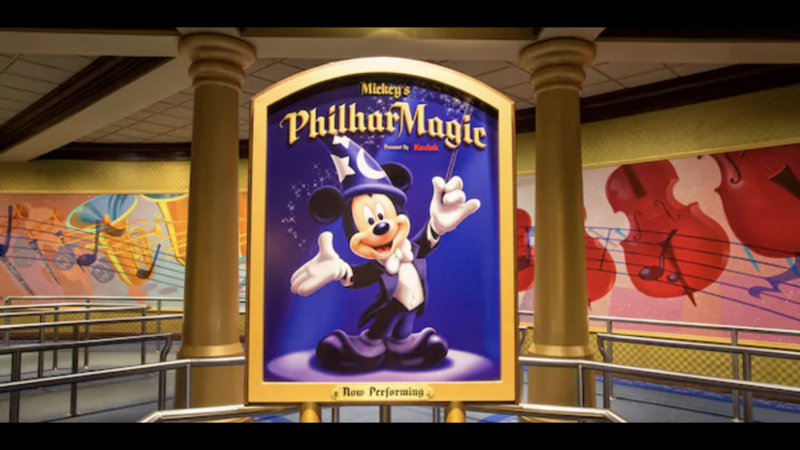 Disneyland Paris Resort: Mickey's Philharmagic (Opening date: 2018): Like the same-named attraction at the Magic Kingdom in Florida, Mickey's Philharmagic will be a “4D” animated presentation featuring Disney's classic characters. Mickey gets top billing, but the irascible Donald Duck steals the show. 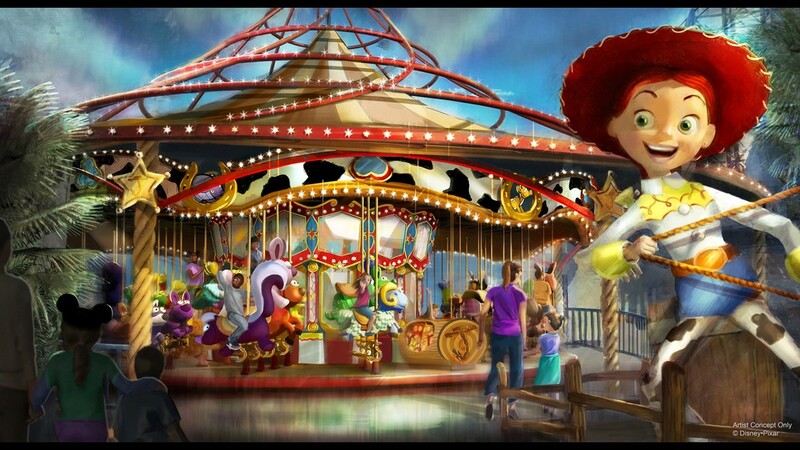 Disneyland Resort: Jessie’s Critter Carousel (Opening date: Summer 2019): Woody’s cowgirl pardner from the "Toy Story" films will inspire the makeover of King Triton's Carousel at Pixar Pier. It will join the existing Toy Story Midway Mania ride along the land’s boardwalk. 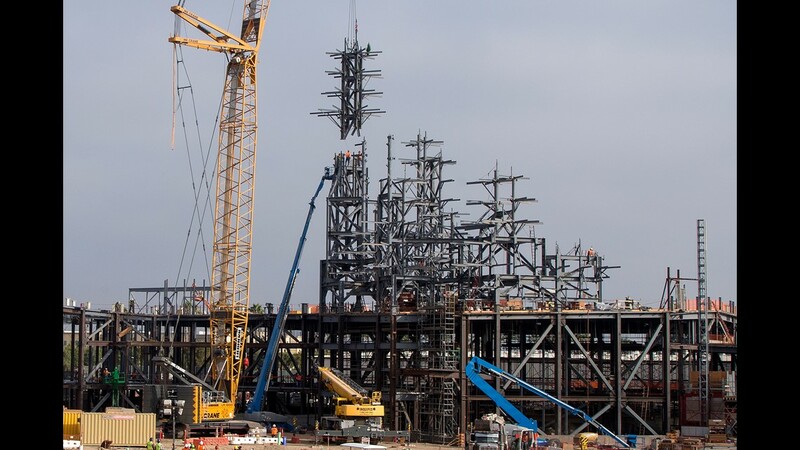 Disneyland Resort: Star Wars- Galaxy’s Edge (Opening date: Summer 2019): The 14-acre land now under construction will transport visitors to an intergalactic outpost. There they will be invited to pilot the Millennium Falcon and join sides in a battle between the Resistance and the First Order. 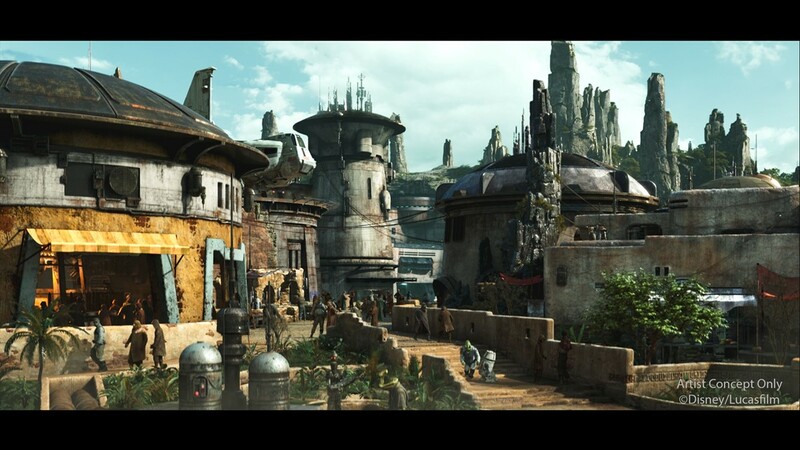 Disneyland Resort: Star Wars- Galaxy’s Edge (Opening date: Summer 2019): Located on the planet Batuu, the name of the renegade village on the edge of the Star Wars galaxy will be Black Spire Outpost. Disney is promising that the area will be richly themed and highly interactive. Walt Disney World: Star Wars: Galaxy’s Edge (Opening date: Late fall 2019): A galaxy far, far away is on its way to Disney World as well as Disneyland. Among the characters visitors will get to encounter in the Star Wars land will be Kylo Ren, Chewbacca, and BB-8 at Disney's Hollywood Studios. 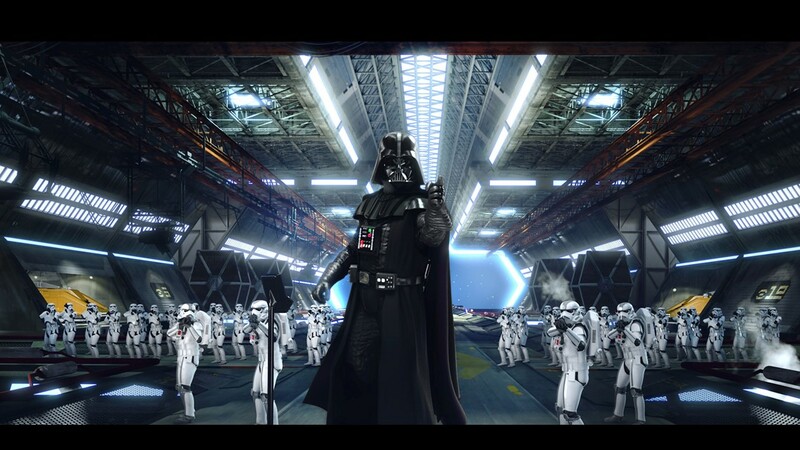 Walt Disney World: Star Wars-themed hotel (Opening date: TBA): If visiting Star Wars: Galaxy's Edge wouldn't be immersive enough, you could take a round-the-clock deep dive into the mythological universe by booking a multi-day stay at this singular (and likely singularly expensive) hotel. 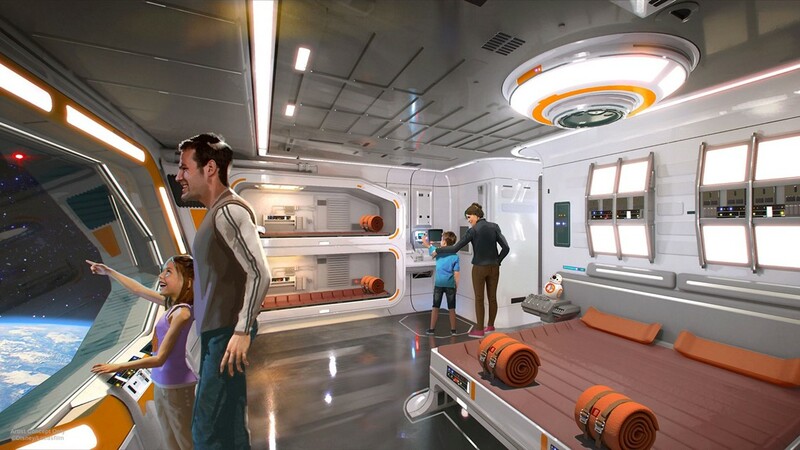 Based on Disney’s renderings, it appears guests' sleeping quarters will be aboard a spaceship. Walt Disney World: Disney Riviera Resort (Opening date: 2019): The 15th Disney Vacation Club resort will offer 300 accommodation units. To be located near Epcot and Disney’s Hollywood Studios, the resort will include a rooftop restaurant that will afford views of the parks. 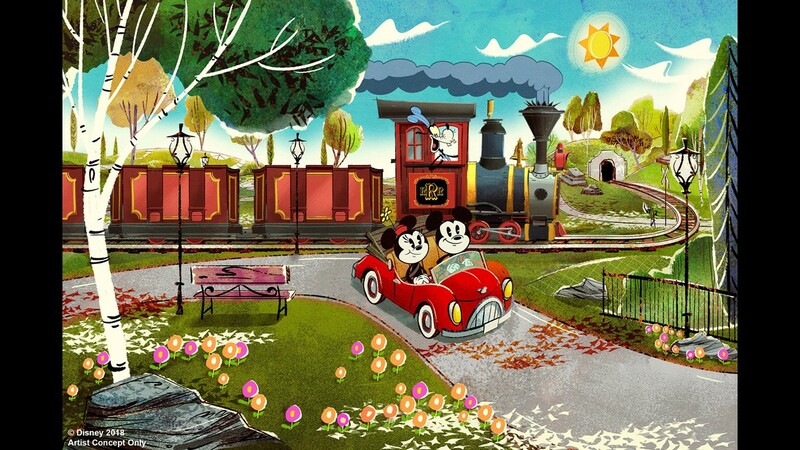 Walt Disney World: Mickey & Minnie's Runaway Railway (Opening date: 2019): Replacing The Great Movie Ride inside Disney's Hollywood Studios’ Chinese Theater, Mickey & Minnie's Runaway Railway will send passengers on an adventure in a cartoon world. Disney is saying that the attraction will incorporate “2-and-a-half-D,” a feature that will render imagery with depth, but not require 3D glasses. 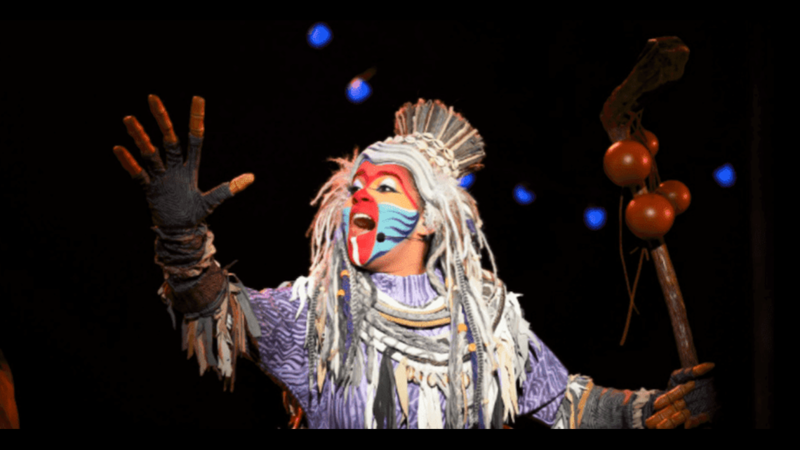 Disneyland Paris Resort: New Lion King show (Opening date: 2019): In a display of the, ahem, circle of life, one of Disney’s most popular and enduring films will inspire a new musical stage show. Since Disneyland Paris is multilingual, we're not sure what language the performers will use for the Lion King production (but “Hakuna Matata” should translate well into any dialect). 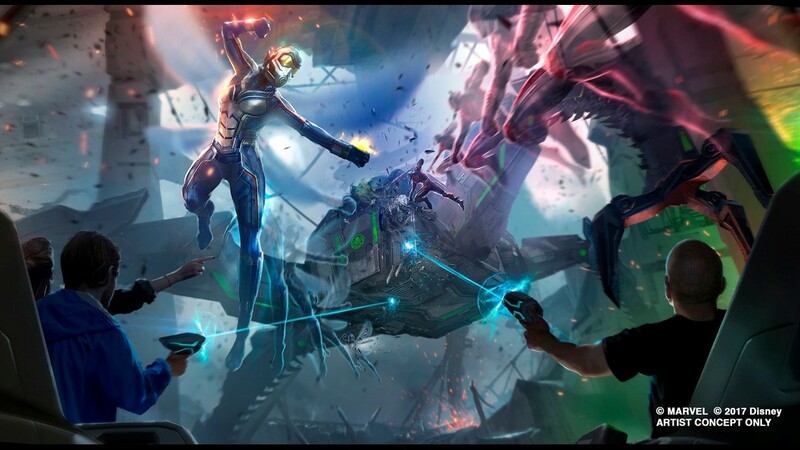 Disneyland Resort: Super Hero-themed land based on "Guardians of the Galaxy," "Avengers," and "Iron Man" (Opening date: 2020): Disney California Adventure’s "a bug's land" will get squashed and replaced with attractions featuring characters from the Marvel Universe. 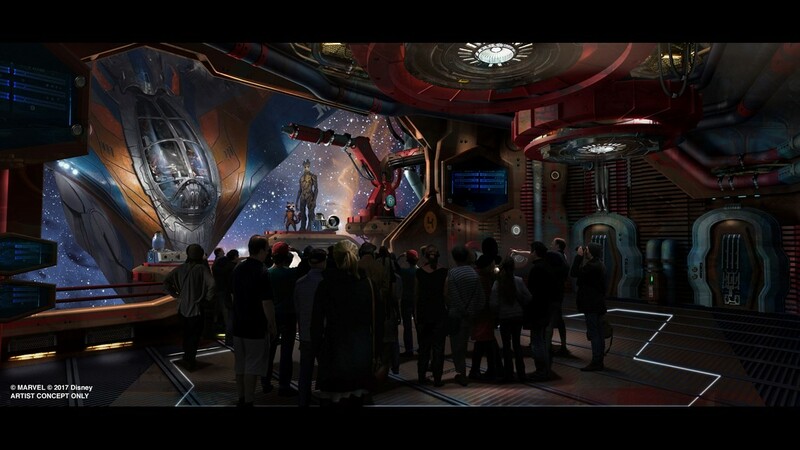 It will include the existing Guardians of the Galaxy – Mission: Breakout along with new rides based on Iron Man and the Avengers. 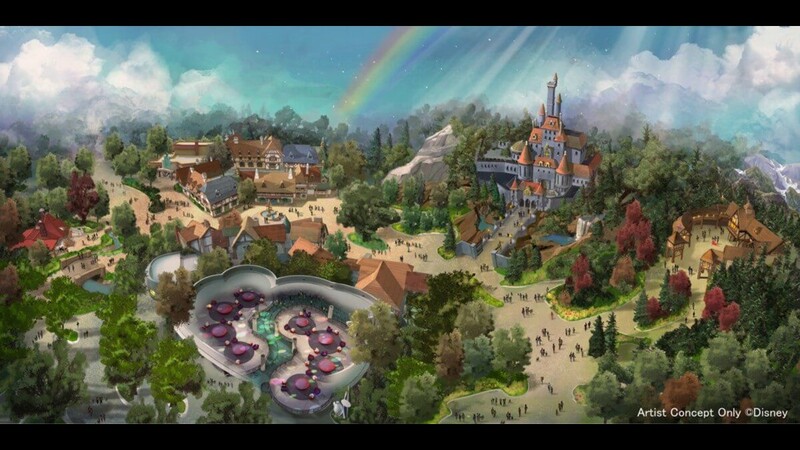 Tokyo Disney Resort: New Fantasyland expansion (Opening date: 2020): Additional attractions and other enhancements are on their way to the park’s Fantasyland. Among the additions will be a new indoor theater for live shows. 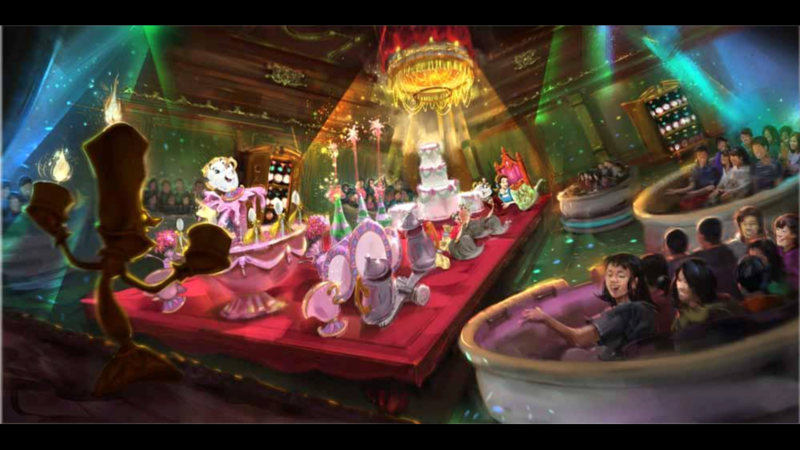 Tokyo Disney Resort: Beauty and the Beast area (Opening date: 2020): As part of the New Fantasyland expansion, guests will be able to ride aboard “enchanted dishes” and visit Beast’s castle. 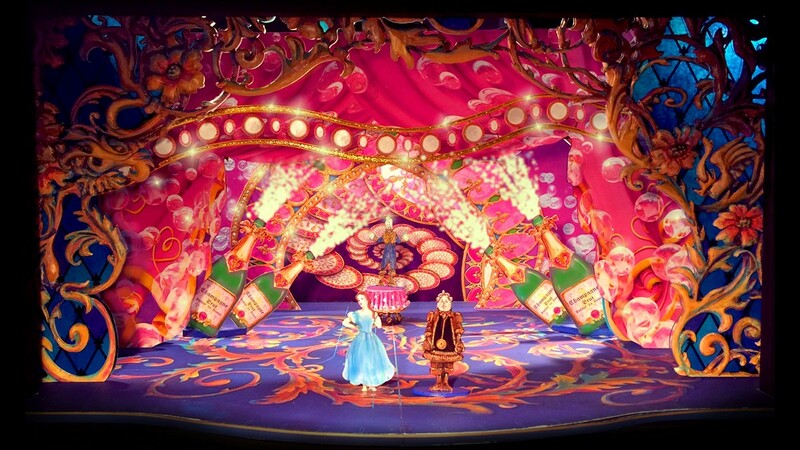 The Beauty and the Beast area will also include a themed restaurant and shop. 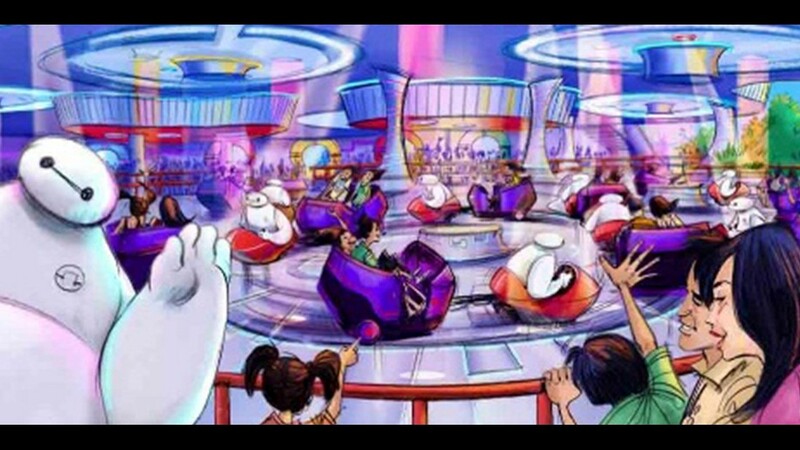 Tokyo Disney Resort: Big Hero 6 attraction (Opening date: 2020): Baymax, the robot star of Big Hero 6, will get his own spinning ride in the park’s Tomorrowland. 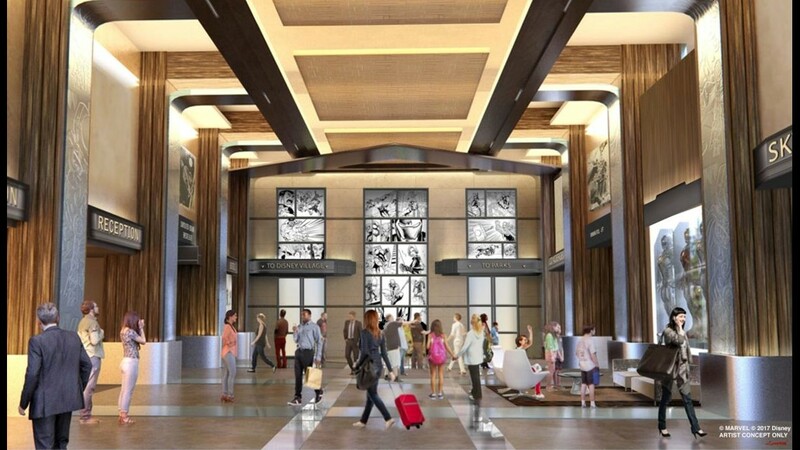 Disneyland Paris Resort: Disney’s Hotel New York – The Art of Marvel (Opening date: 2020): The existing Hotel New York will get a superhero makeover courtesy of the Marvel Universe. Iron Man, Spider-Man, the Avengers, and other characters will inspire the décor and vibe in the lobby and throughout the hotel. 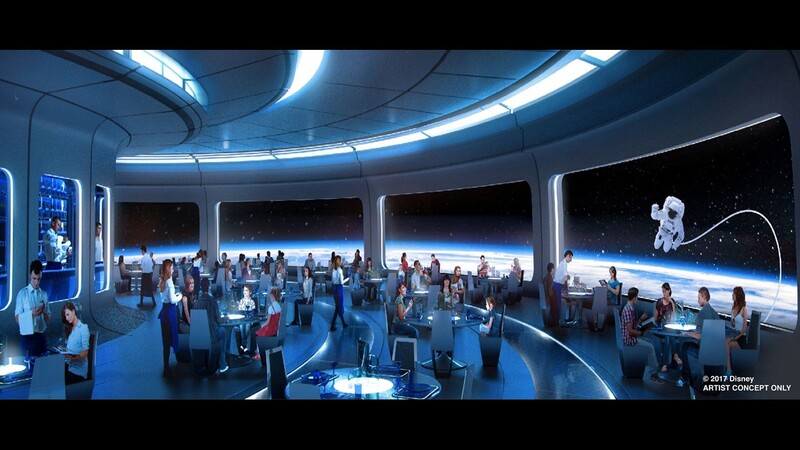 Walt Disney World: Space-themed restaurant (Opening date: Before 2021): To be located near Epcot‘s Mission: Space attraction, the yet-to-be-named table-service restaurant will transport patrons to an orbiting space station. Guests will be able to see the Earth below as they dine. 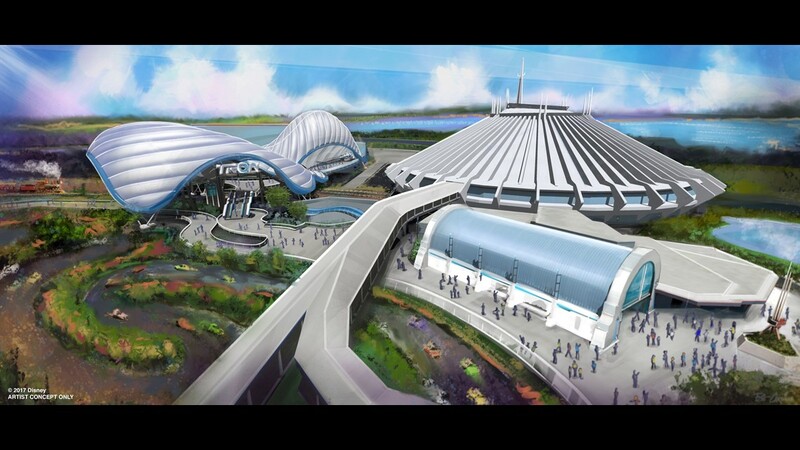 Walt Disney World: Tron coaster (Opening date: 2021): A highly themed attraction based on the two "Tron" sci-fi films is on its way to Tomorrowland. Like the hugely popular ride at Shanghai Disneyland, passengers will board Lightcycle-styled trains and experience Disney’s fastest, and arguably most thrilling, roller coaster. 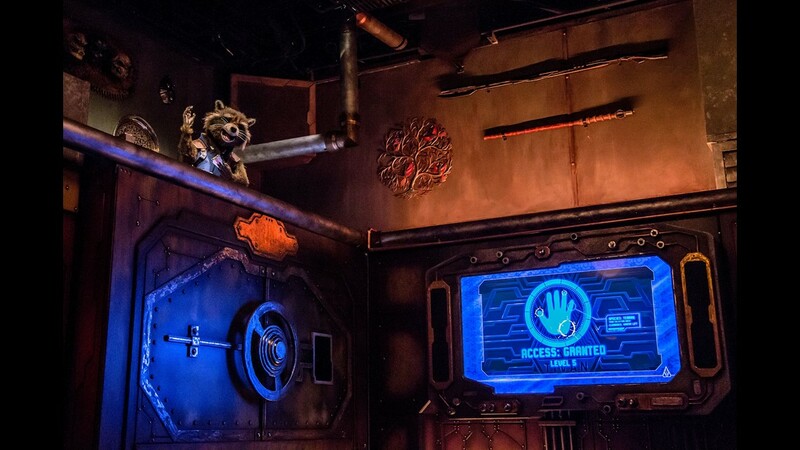 Walt Disney World: Guardians of the Galaxy coaster (Opening date: 2021): You’ll be able to join Star-Lord and his ragtag intergalactic gang on an airtime-filled adventure in Epcot. Disney says the attraction will be one of the world’s longest indoor coasters and will include an innovative ride system. 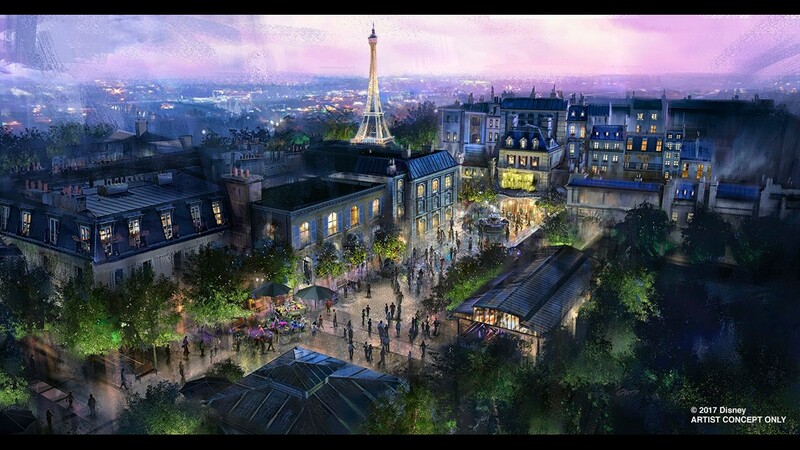 Walt Disney World: Ratatouille attraction (Opening date: 2021): Ooh la la. Based on the Pixar film, Ratatouille, passengers will shrink to the size of an escargot and go on a journey with Remy through Gusteau's restaurant in Epcot's France pavilion. 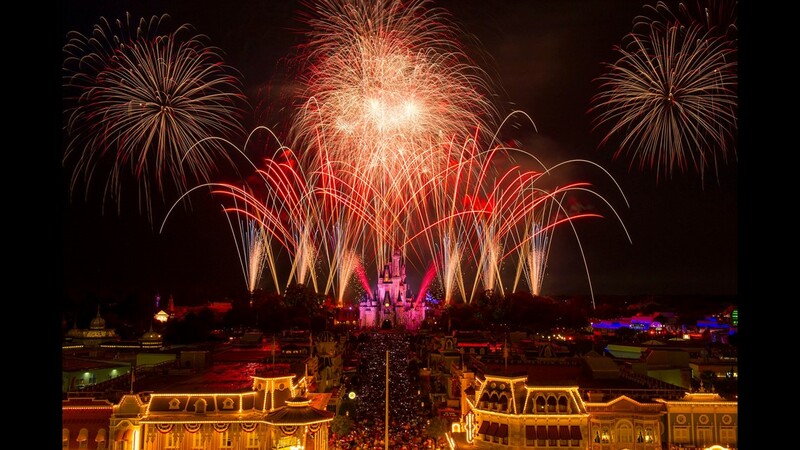 Walt Disney World: 50th anniversary celebration (Announced launch date: 2021): The resort will undoubtedly present a big blowout to mark its half-century milestone. All of the attractions and developments listed here should be good to go for the anniversary, with some of the openings planned to coincide with the celebration. 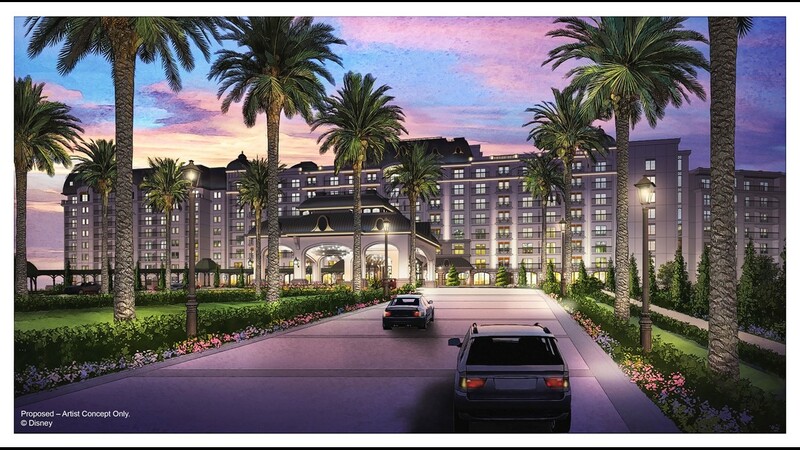 Disneyland Resort: Fourth hotel (Opening date: 2021): A new 700-room hotel is on its way to the Disneyland Resort. 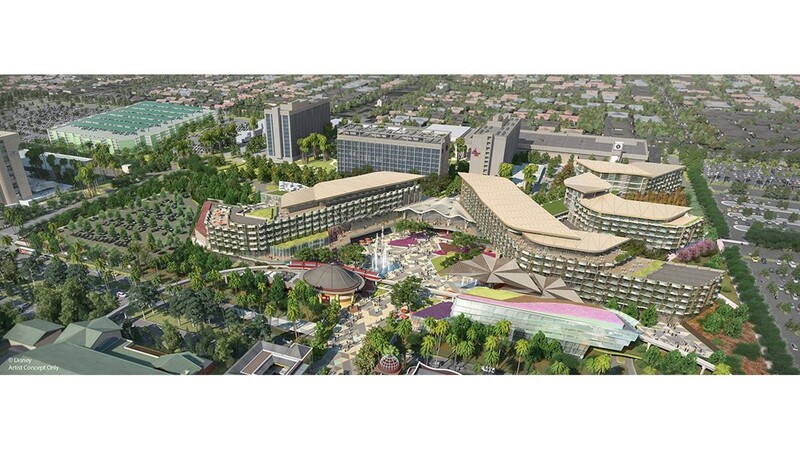 It will be located next to the classic Disneyland Hotel and will feature a platform for the Disneyland Monorail inside its lobby. 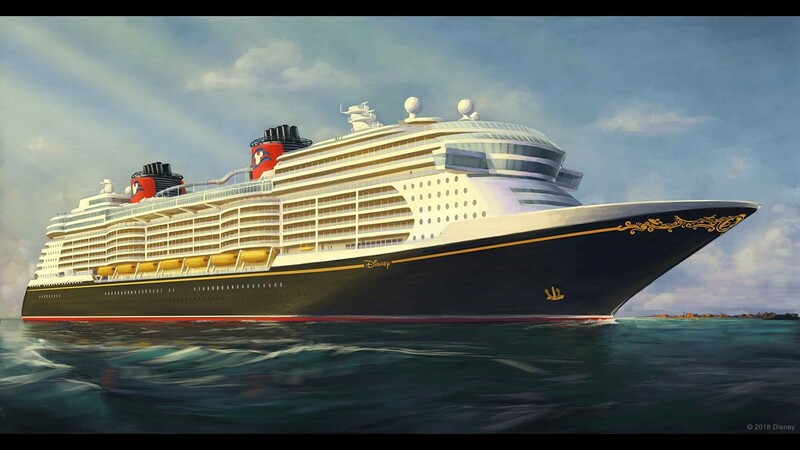 Disney Cruise Line: Three new ships (Announced launch dates: 2021, 2022, and 2023): Disney’s fleet of four ships will expand to seven with the introduction of three new vessels. They will each include about 1,250 staterooms, which will make them roughly the same capacity as the Disney Fantasy and the Disney Dream, the cruise line’s two largest ships now sailing. 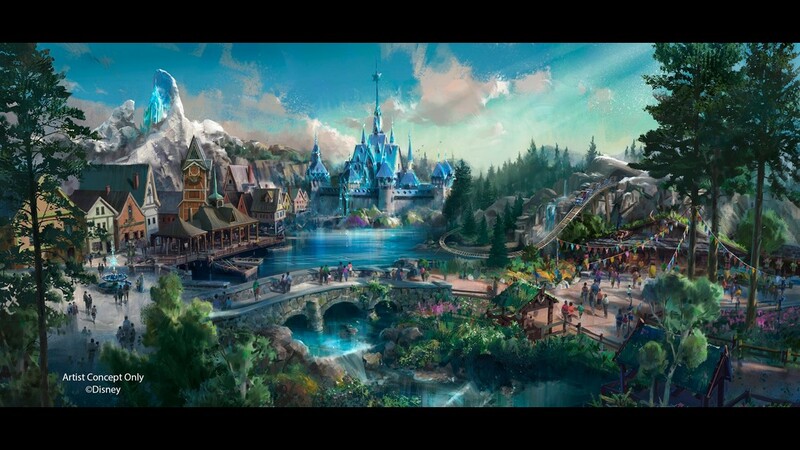 Tokyo Disney Resort: Frozen land (Opening date: By 2022): The Tokyo Disney Resort is building a new “port” in its Tokyo DisneySea park that will welcome three new micro-lands. The total cost for the expansion project is pegged at $2.3 billion. One of the lands will be themed to Frozen and will feature a boat ride about Anna and Elsa along with a restaurant inside Arendelle Castle. 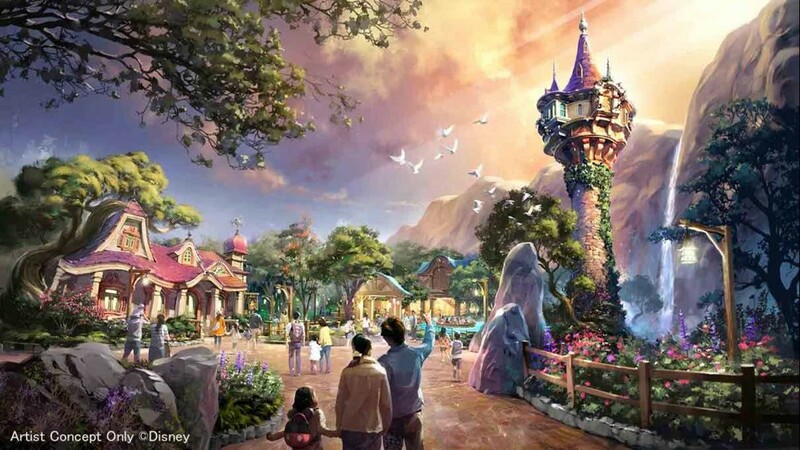 Tokyo Disney Resort: Tangled land (Opening date: By 2022): Rapunzel’s tower will draw visitors to an area devoted to Disney’s animated film, Tangled. An attraction using gondola vehicles will transport riders to a lantern festival. 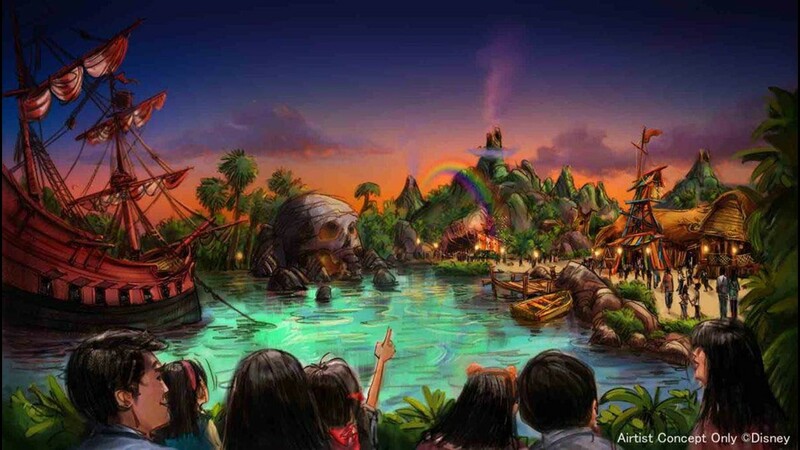 Tokyo Disney Resort: Peter Pan Never Land (Opening date: By 2022): The new port will also welcome a Peter Pan-themed area and tell the iconic tale with two new attractions. One will use 3D imagery to soar above Never Land, while the other will immerse guests in Tinker Bell’s home, Pixie Hollow. There will also be a Lost Boys-inspired restaurant. 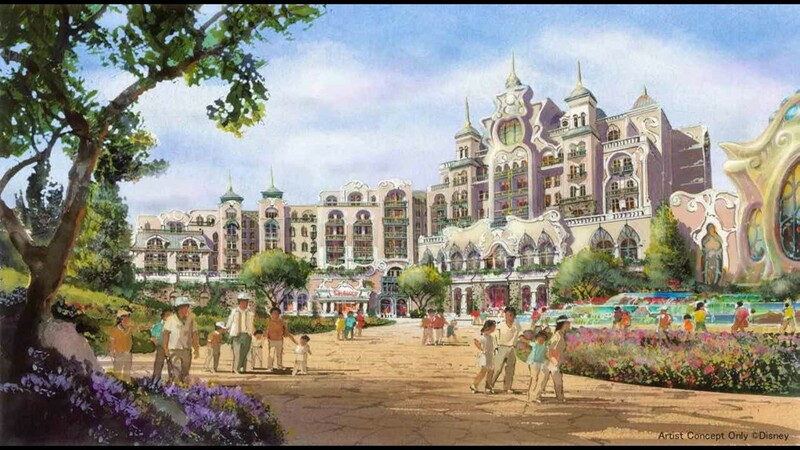 Tokyo Disney Resort: New hotel (Opening date: By 2022): As part of the massive Tokyo Disney Resort expansion, a luxury-level, 475-room hotel will be located inside Tokyo DisneySea. Walt Disney World: Disney Skyliner gondolas (Opening date: TBA): Disney World’s existing modes of transportation, including monorails, ferries, and buses, can get very crowded. 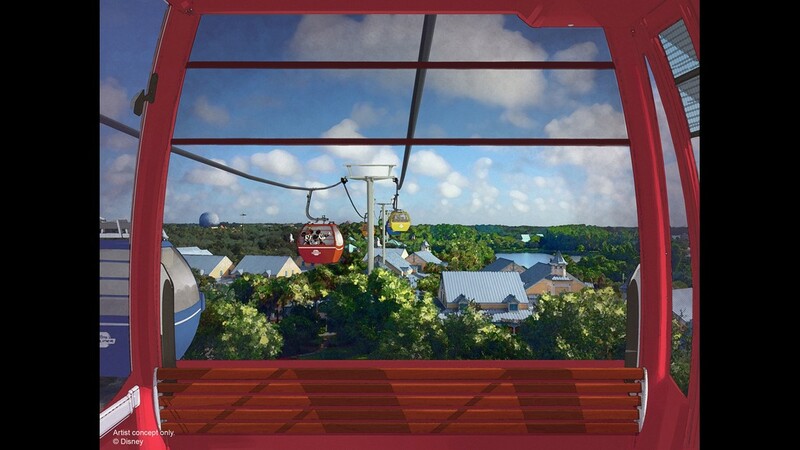 A new gondola system, which will link Epcot and Disney’s Hollywood Studios with Disney’s Art of Animation, Caribbean Beach, Pop Century, and new Disney Riviera will help ease some of the congestion and offer a fun way to get around the resort. 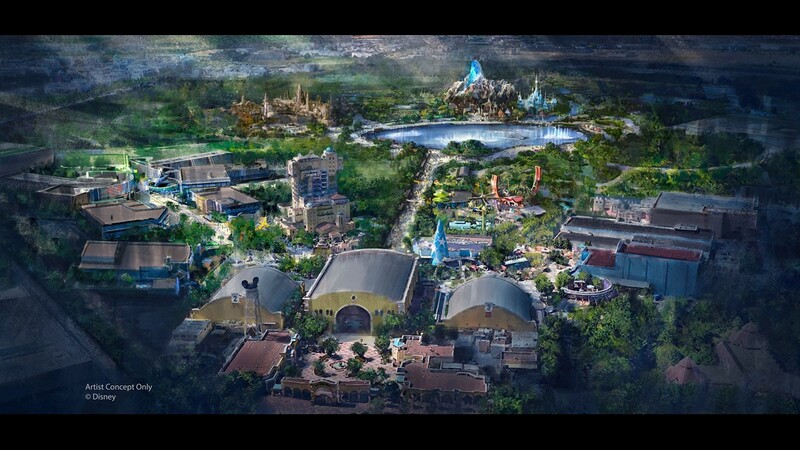 Disneyland Paris Resort: New Marvel, Frozen, and Star Wars lands (Opening date: TBA): The Avengers-themed coaster will anchor an entire Marvel land. It will be part of a $2.4 billion expansion of Disneyland Paris Resort that will also bring new lands based on "Star Wars" and the animated blockbuster, "Frozen." Disneyland Paris Resort: Marvel Summer of Superheroes (Opening date: TBA): Goodbye Steven Tyler and Aerosmith; hello Tony Stark and the Avengers. The thrilling Rock ‘n’ Roller Coaster will get a new theme featuring the superheroes. 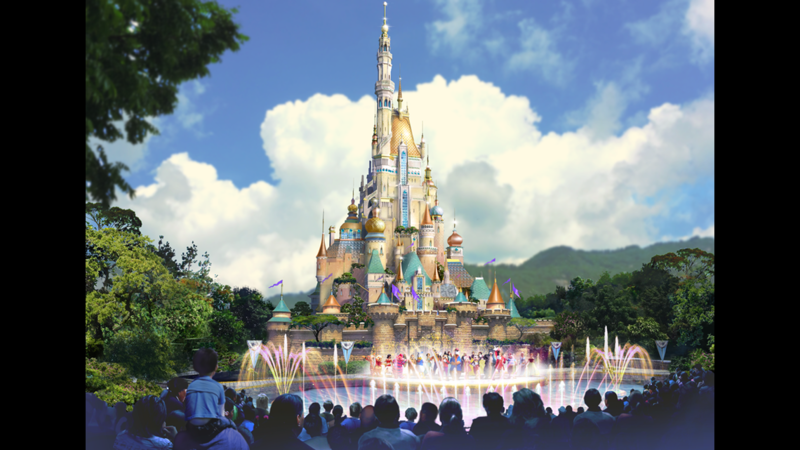 Hong Kong Disneyland: New castle (Opening date: TBA): As with the Disneyland Paris Resort, Disney is planning to invest beaucoup bucks (reportedly $1.4 million) into a major, multi-year expansion at its Hong Kong property. As part of the changes, the park’s centerpiece icon is being upgraded from the comparatively diminutive Sleeping Beauty Castle (which was based on the original castle in California) to a larger, grander, and more unique palace. 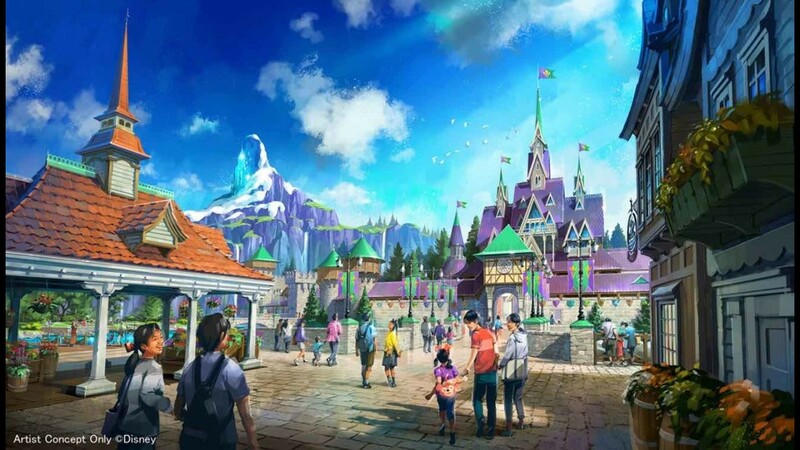 Hong Kong Disneyland: Frozen land (Opening date: TBA): As part of the massive expansion at Hong Kong Disneyland, visitors will be able to engage in some Frozen-themed fun. A new land based on the film will welcome guests to the mythical kingdom of Arendelle and will include rides and dining experiences. 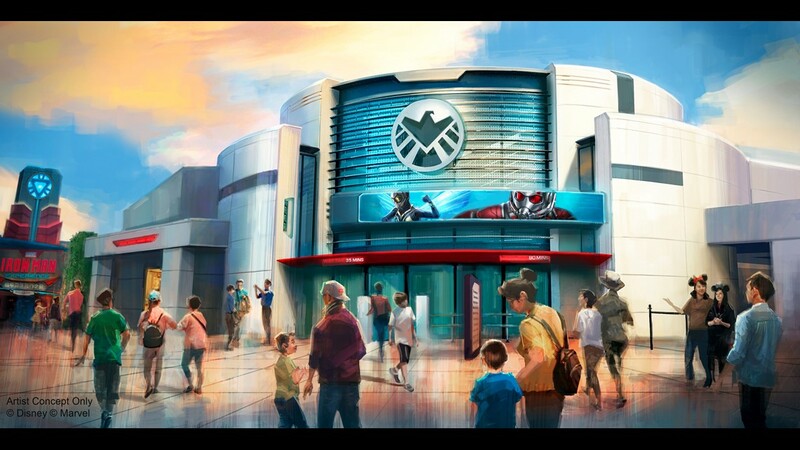 Hong Kong Disneyland: New Ant-Man and The Wasp ride (Opening: TBA): Buzz Lightyear Astro Blasters closed to make way for a re-themed ride based on the size-changing Marvel heroes, Ant-Man and The Wasp. Instead of blasting Toy Story’s Evil Emperor Zurg, passengers will battle Arnim Zola and Hydra bots. 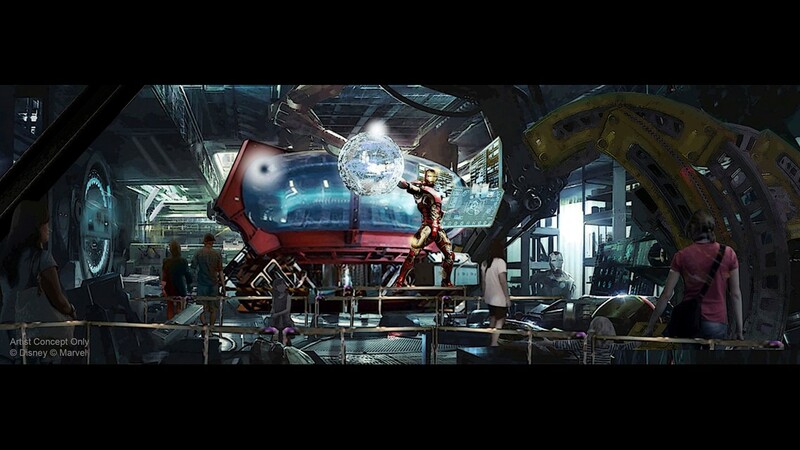 Hong Kong Disneyland: Marvel land (Opening date: TBA): Tomorrowland at Hong Kong Disneyland already has an Iron Man Experience ride and has one featuring Ant-Man and The Wasp in the works. The park will be getting a dedicated Marvel land, however, that will encompass those rides and introduce additional superhero attractions.